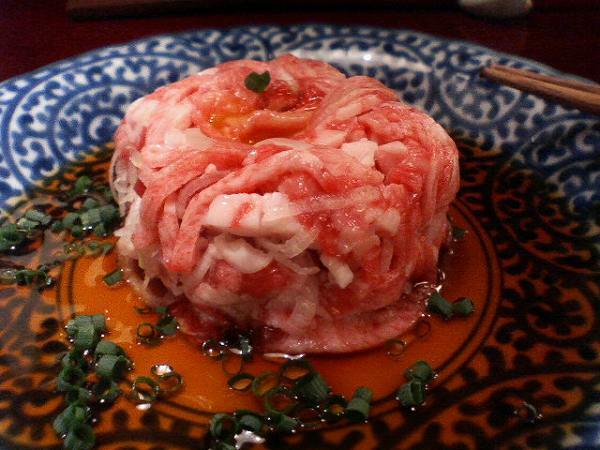 Ginza has many restaurants which have been open for over 50 years and considered well-established restaurants. 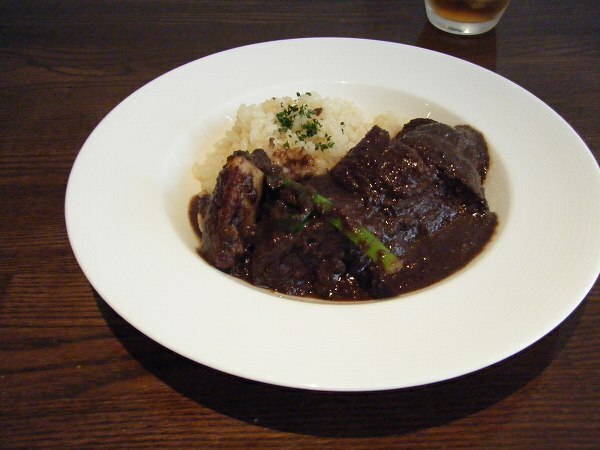 One of my favorite restaurants in Ginza for lunch is GINNOTOU, which specializes in authentic beef and tongue stew. Ginnotou's menu is pretty simple. They only offer four dishes. 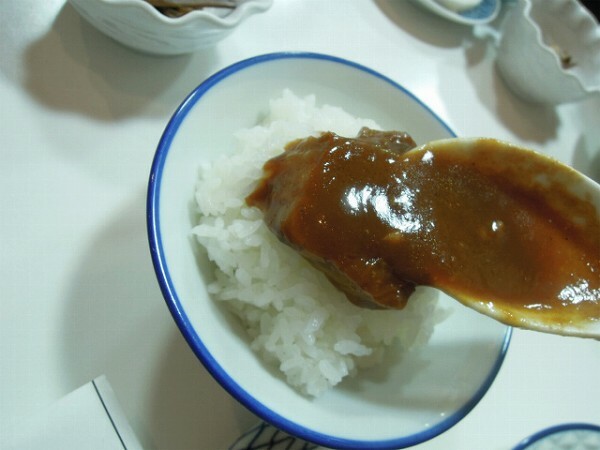 First is BEEF STEW for 2,500 yen , which is extra tender and rich in flavor, but not oily at all. 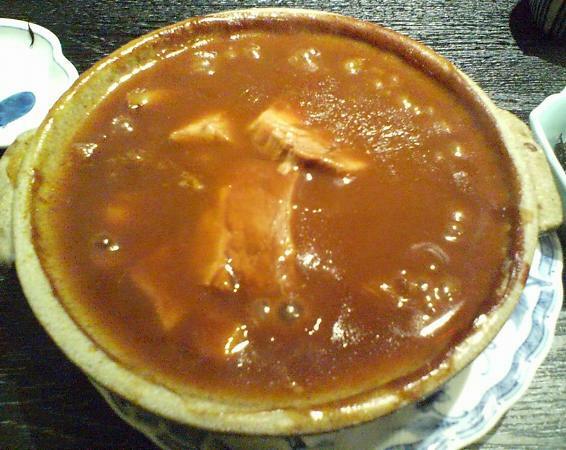 Second is YASAI STEW (Vegetable stew) for 2,500 yen. 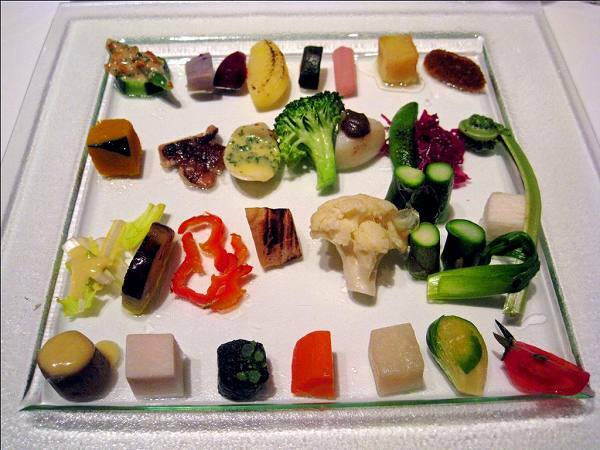 No meat, just boiled vegetables. 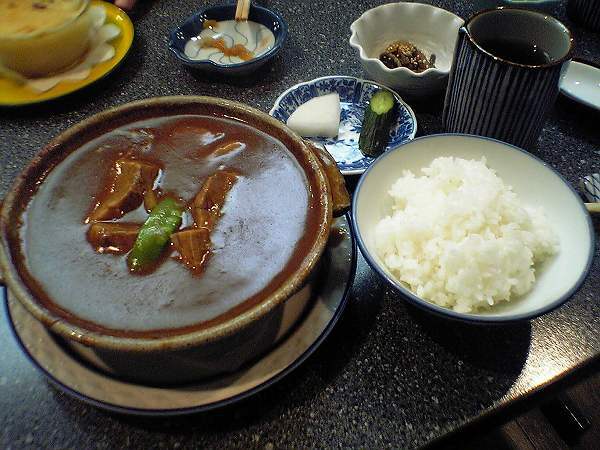 Third is MIX STEW (Beef & vegetable stew) for 2,500 yen. 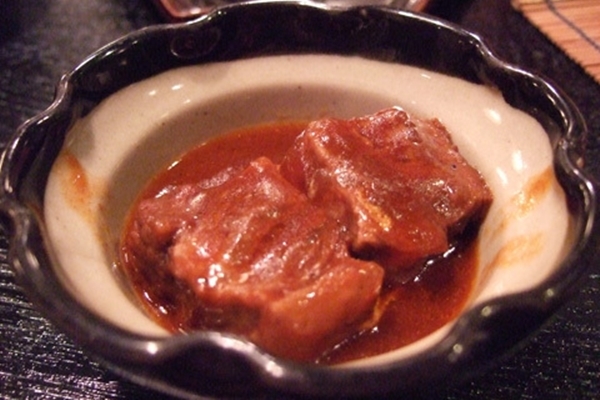 Four is TONGUE STEW for 3,500 yen, which is more popular than beef stew to regulars. 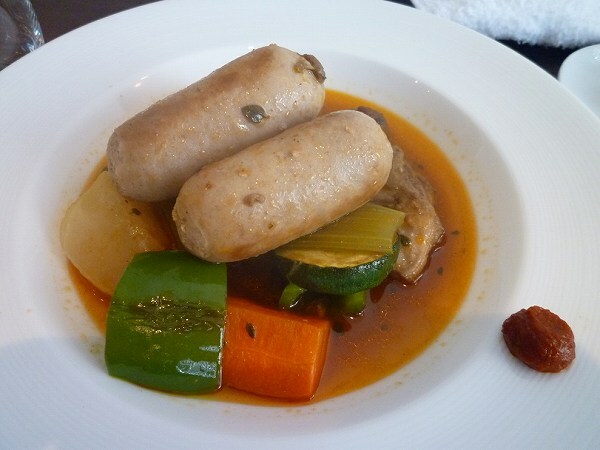 They also have mix of tongue and vegetable stew for 3,500 yen. 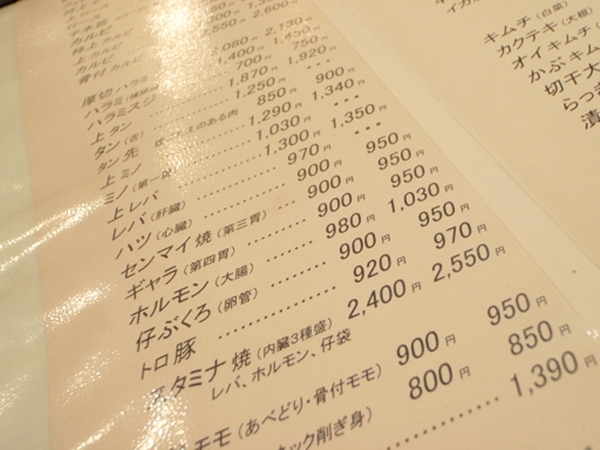 There only none stew dish is GRATIN for 1,800 yen. 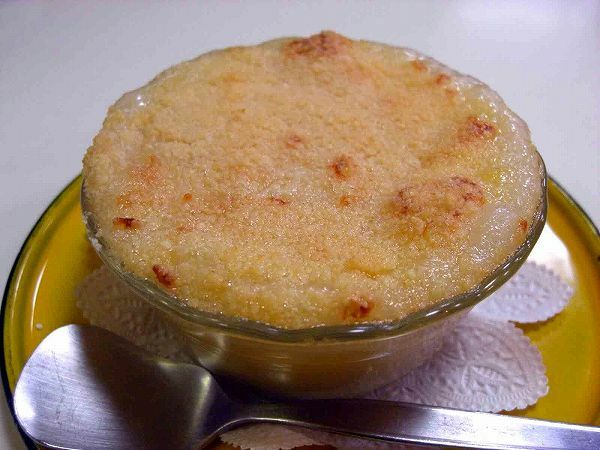 This is another classic yoshoku dish with macaroni, shrimp and mushrooms. 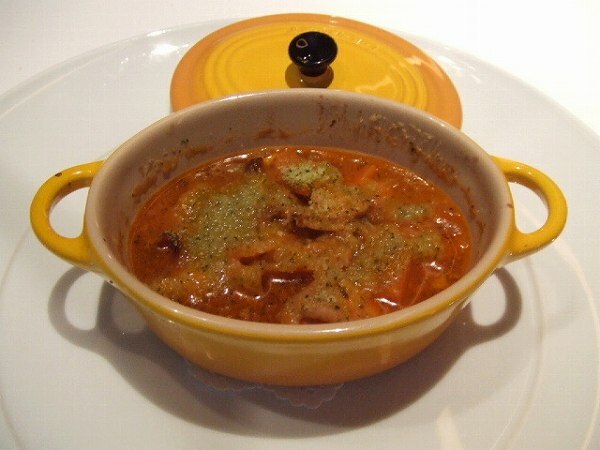 And if you want both stew and gratin, there is STEW GRATIN MINI SET (Regular size beef, vegetable or mix stew & small size gratin) for 3,700 yen. 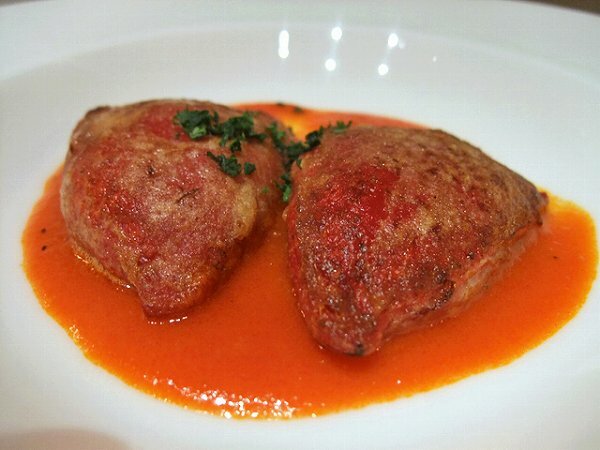 Most customers order stew gratin mini set, not just the stew. 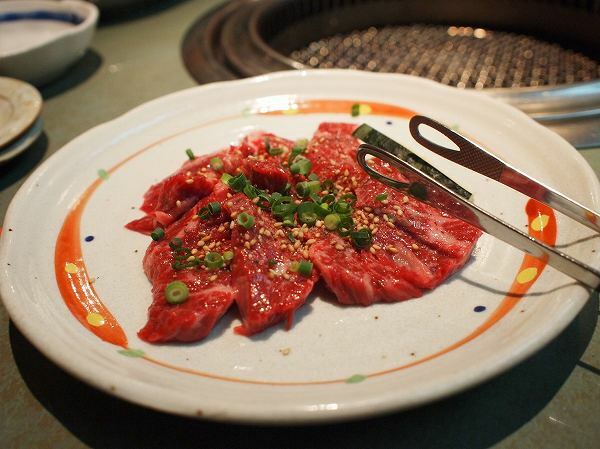 If you want tongue instead of beef, its 1,000 yen more. 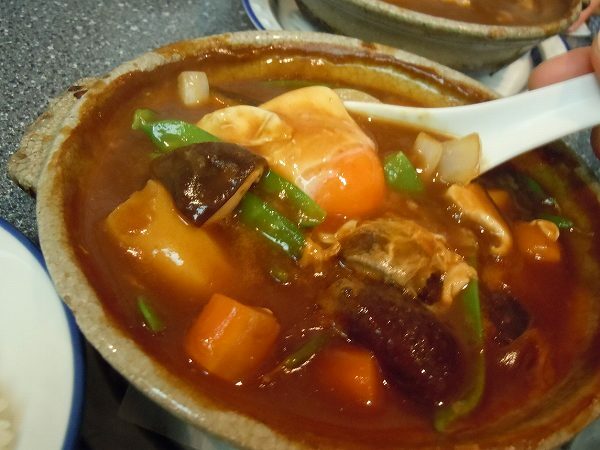 All the stews come with rice and oshinko (pickled vegetables). 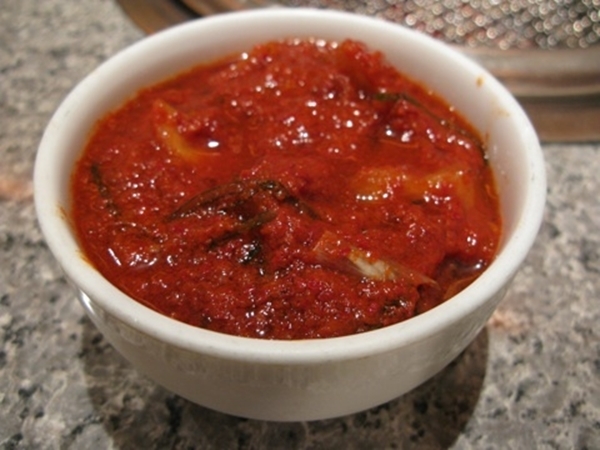 and the stew goes great with rice. 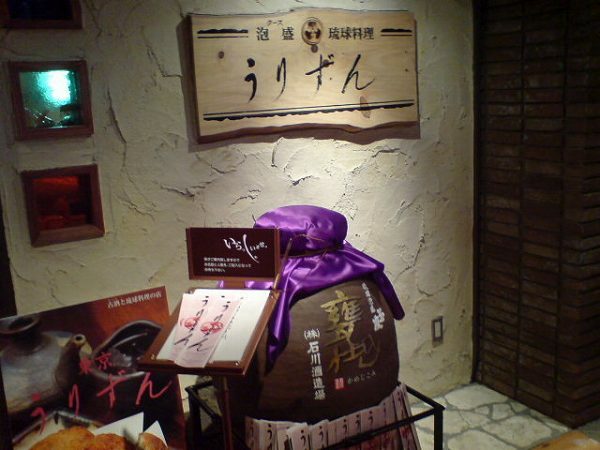 There are actually two famous stew restaurants in Ginza, but since Ginnotou does delivery for the kabuki actors who perform at the kabuki theater near by it is better known to the public. 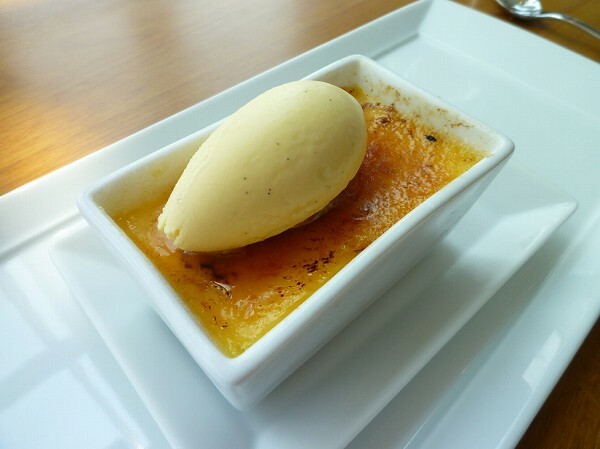 I personally enjoy both restaurants, but since Ginnotou offers gratin and the other doesn't, I end up going to Ginnotou more. 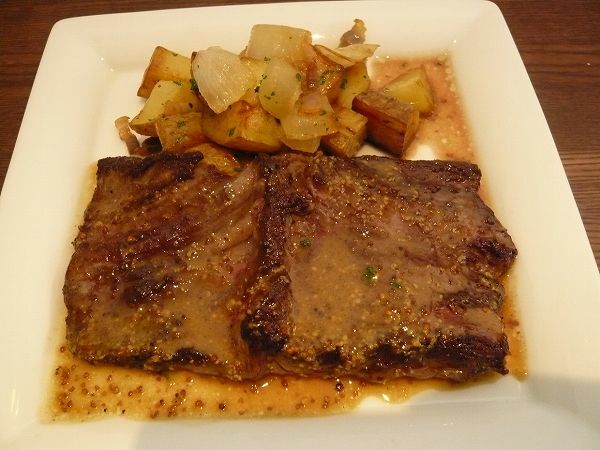 Its a little expensive for lunch, but if you are in Ginza and want to have something authentic which stood the test of time, try stew and gratin at Ginnotou. 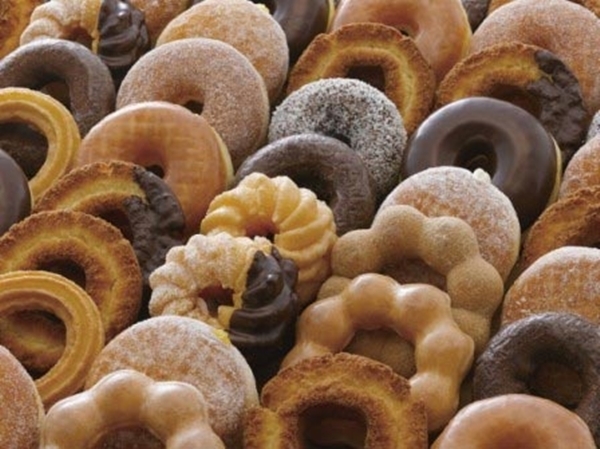 Many of my friends from the states have asked me where they could get some doughnuts for breakfast. 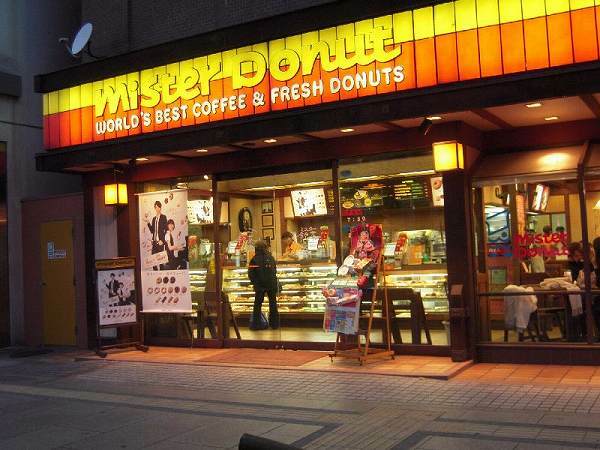 There are American doughnut shops like Krispy Kreme, Doughnut Plant in Tokyo now, but a shop which originally from Boston and no longer exists in the states is MISTER DONUT at Shinjuku. 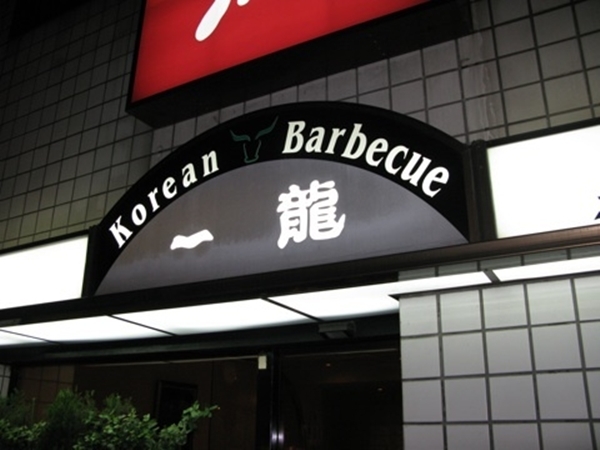 They have over 1,300 locations throughout Japan. 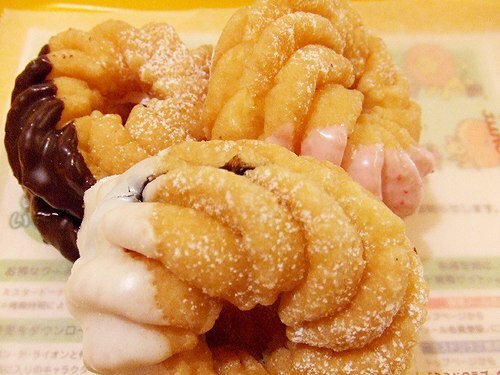 Mister Donut is the first major doughnut shop which came to Japan in 1971. Its originally from Boston, the owner was actually related to the owner of Dunkin' Dounts. 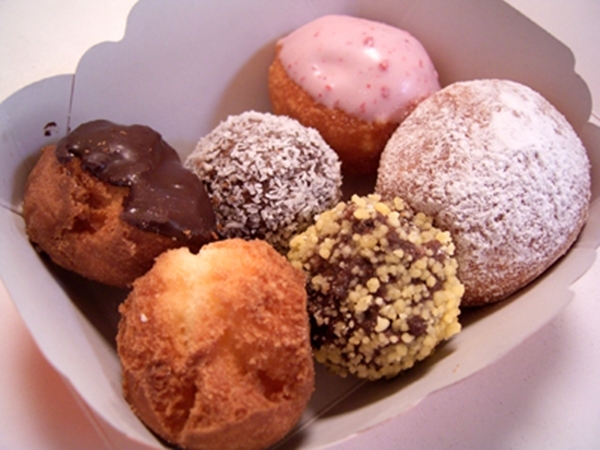 Dunkin' Donuts eventually bought Mister Donuts in 1990 and it disappeared from the states. 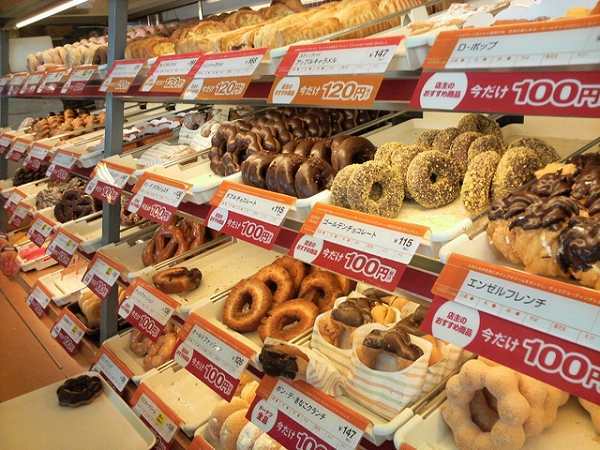 But since Dunkin' Donuts business failed in Japan long before they bought Mister Donut, the company which had the franchise license for Japan bought trademark of Mister Donut from Dunkin' Donuts. 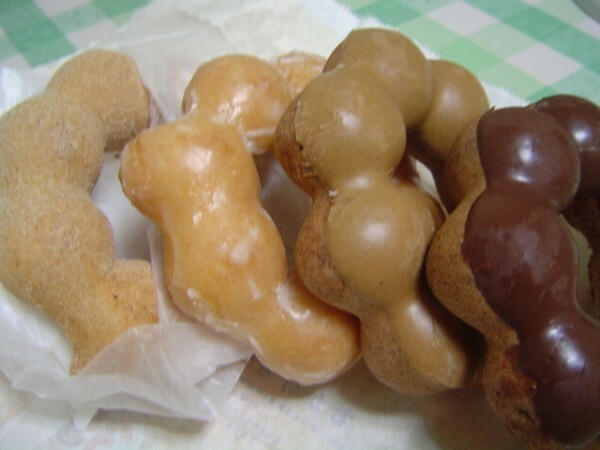 Originally, they served the same doughnuts which were sold in the states, but after purchasing trademark, they started to create original doughnuts for Japanese consumers. 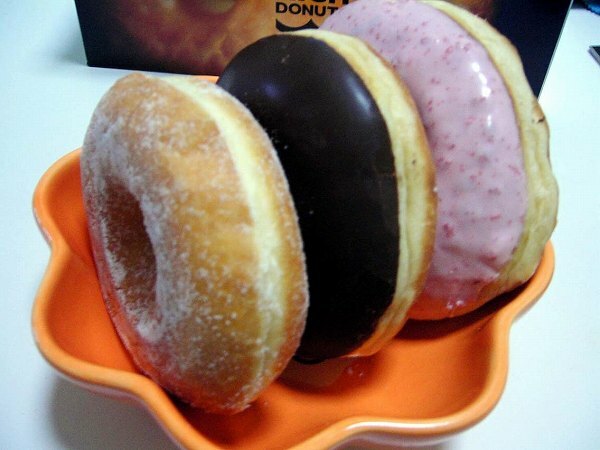 The most famous one and No.1 selling donut is PON DE RING. 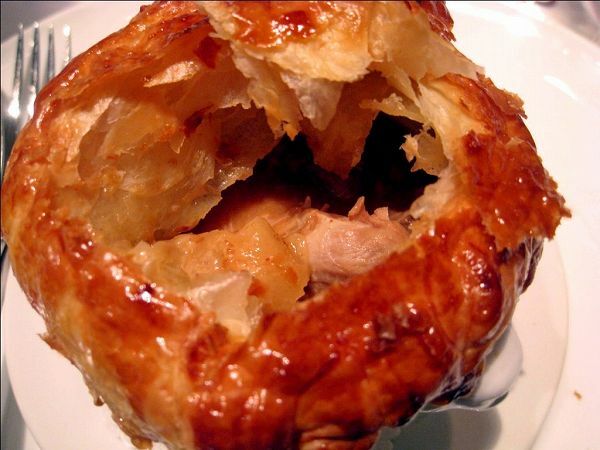 It is extra chewy and fluffy. It comes in glazed, brown sugar, chocolate frosting, chocolate frosting with chocolate doe. HONEY DIP (Glazed) and many more. 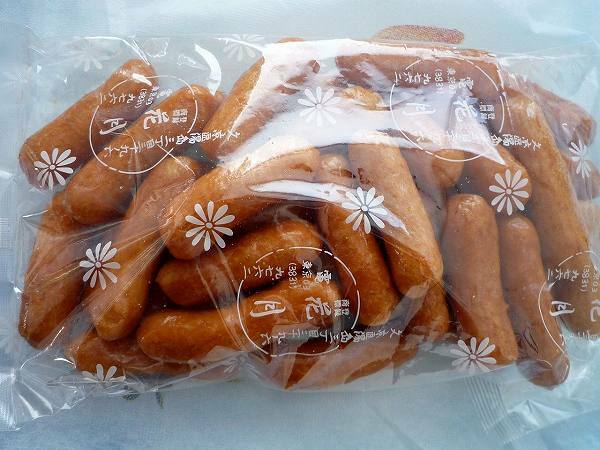 For small children, mini doughnuts called D-POP are available. 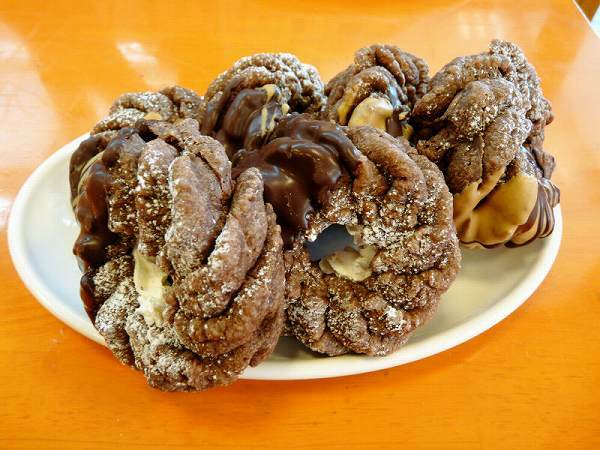 ANGEL CHOCOLAT (Chocolate French Cruller covered with chocolate, filled with whipped cream), CUSTARD CHOCOLAT (Chocolate French Cruller covered with chocolate, filled with custard cream). 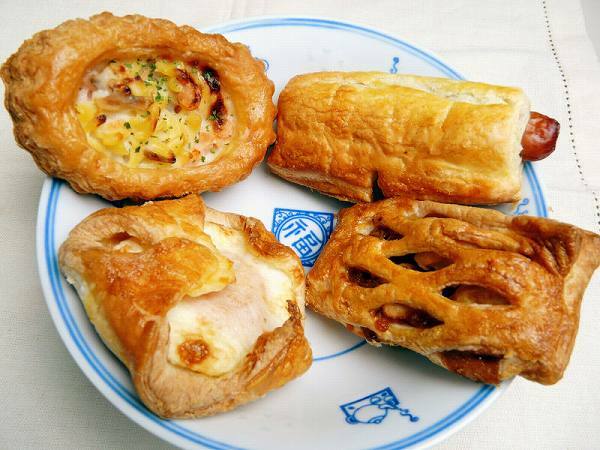 They have pies as well like FRANK PIE (Sausage pie), STICK PIE APPLE (Apple pie), HAMBURG PIE (Minced meat patty pie), and EBI GRATIN PIE (Shrimp gratin pie). 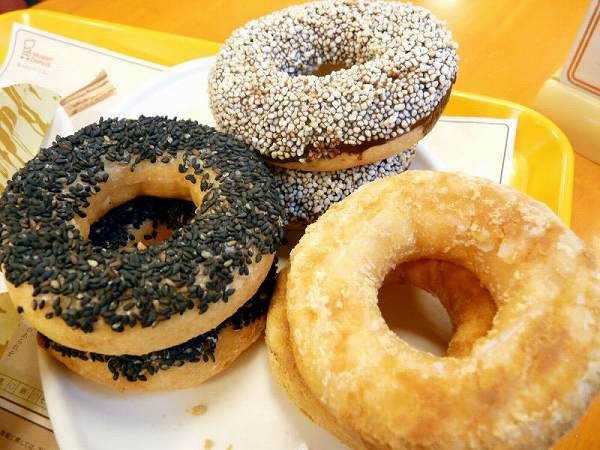 Recently doughnuts made out of rice flour was created for children who are allergic to normal flour or eggs. 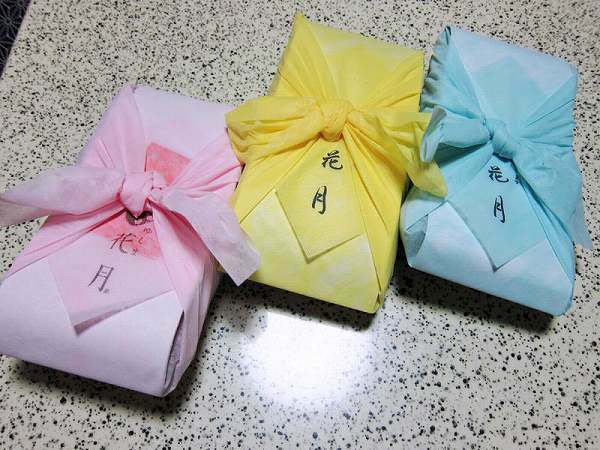 These are called KOMEKO DOUGHNUT and they come in various favors. 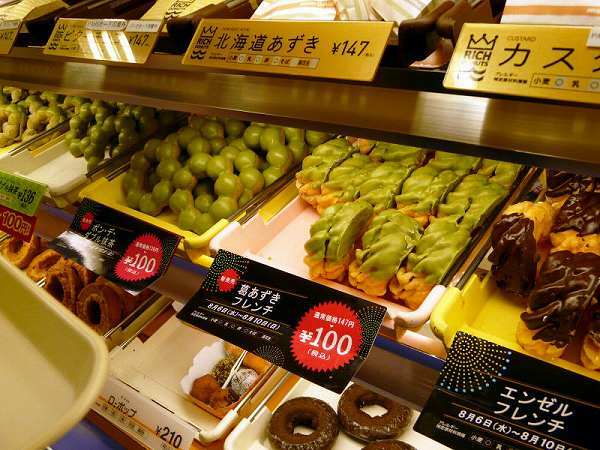 Seasonal donuts are available as well like donuts with green tea mixed in the flour or green tea frosting. 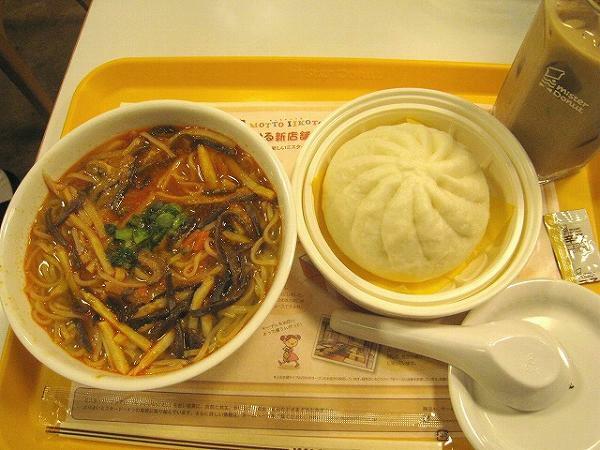 For people who want to eat something besides doughnuts or even lunch, dim sum and Chinese noodle is available as well. 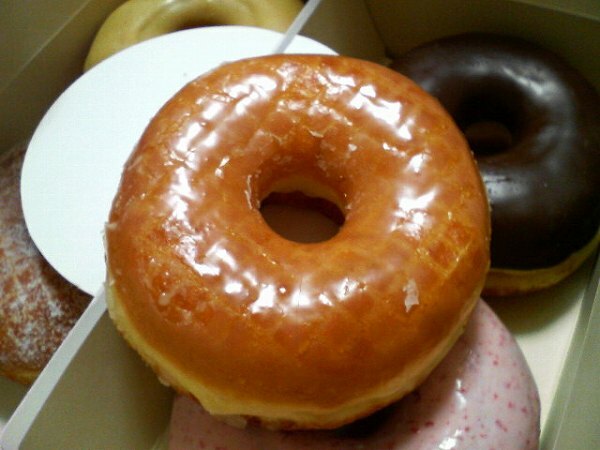 Many of my friends who left Japan and went back to their country talk about having donuts from Mister Donut one day again. It is less sweeter than other doughnut shops like Dunkin' Donuts. 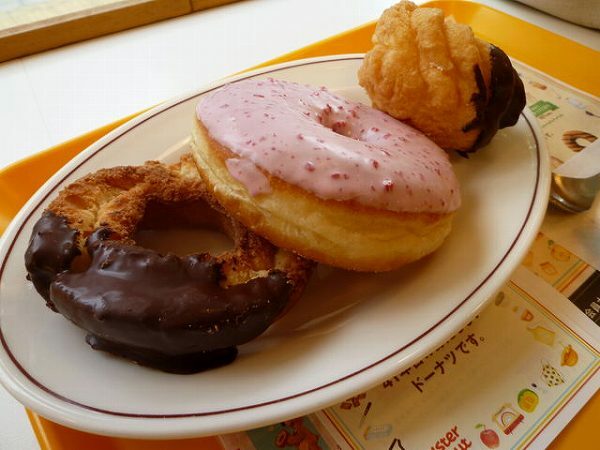 The only thing that is missing from Mister Donut is they stopped selling jelly filled doughnuts in the 90's, but even if they don't I'm sure you would enjoy other doughnuts offered by them. Like I mentioned before they have over 1,300 shops throughout Japan, so you should be able to find one near by where ever you are. 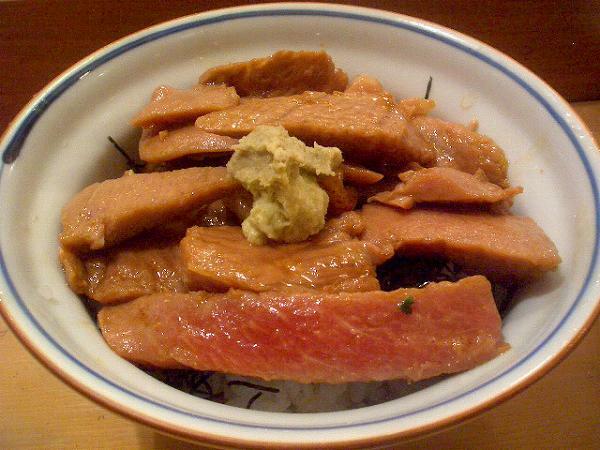 Okinawa food is completely different from mainland Japanese food. 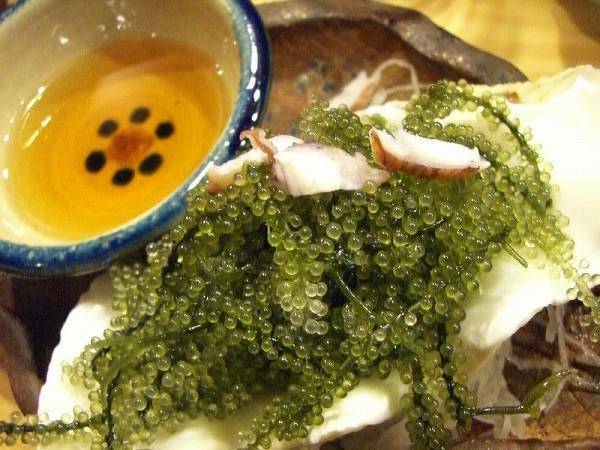 It has become popular in the last 10 years or so, but if you haven't been to Okinawa and not eaten the real thing, you probably don't know what Okinawa food tastes like. 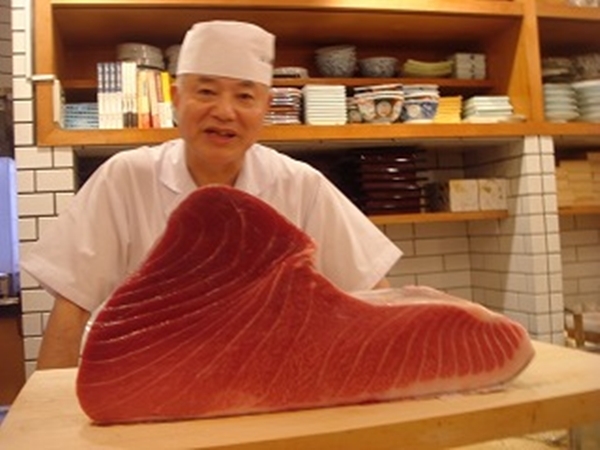 A couple of years ago, a famous Okinawa restaurant in Naha, Okinawa opened a branch in Tokyo. 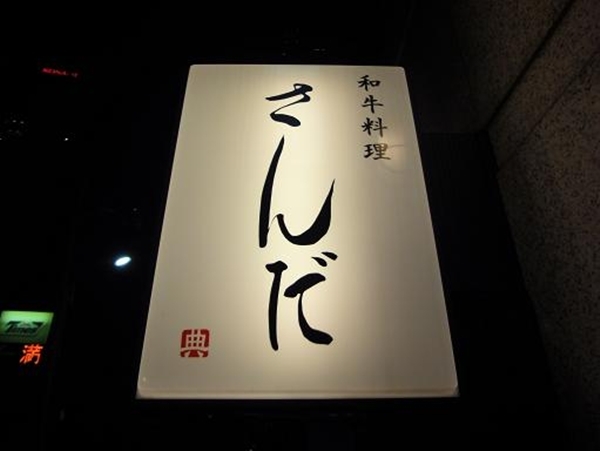 If you want to try real good Okinawa food, TOKYO URIZUN at Marunouchi/Tokyo is one of the few places to go. 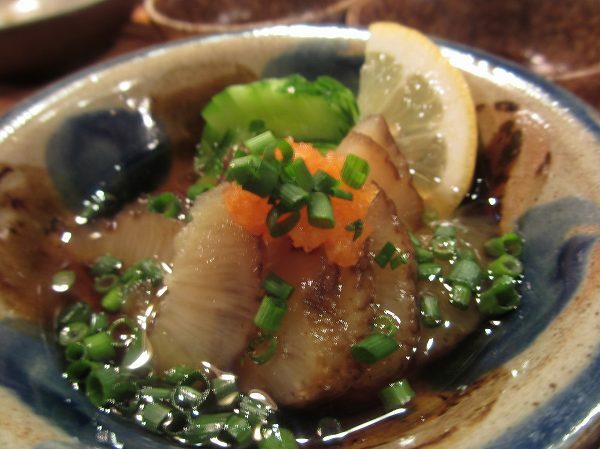 Okinawa has its own food culture and it was even a country centuries ago. 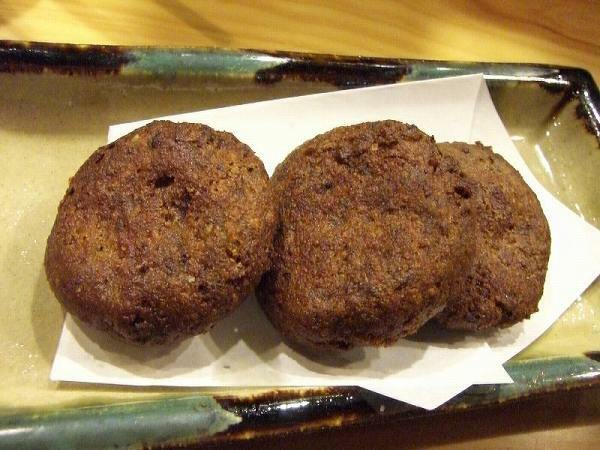 Urizun provides typical Okinawa dishes like, but one of the items they invented and almost everyone order is DOORUTEN (Deep fried paste of taro, pork, fishcake and shiitake mushroom). 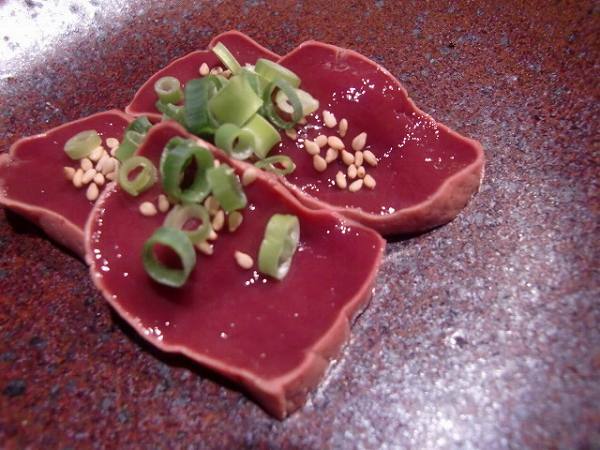 This dish has become so popular that many restaurants in Okinawa serve it as well. 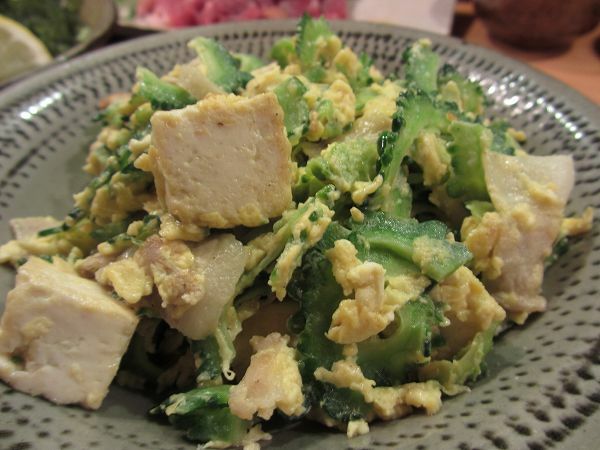 Another typical Okinawa dish would be GOYA CHANPURU (Stir fried bitter melon, tofu, spam and egg) for 840 yen. 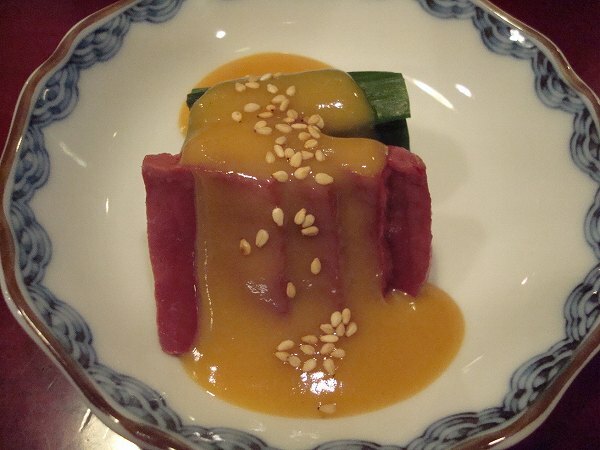 Bitter melon and spam is commonly used for many Okinawa dishes. 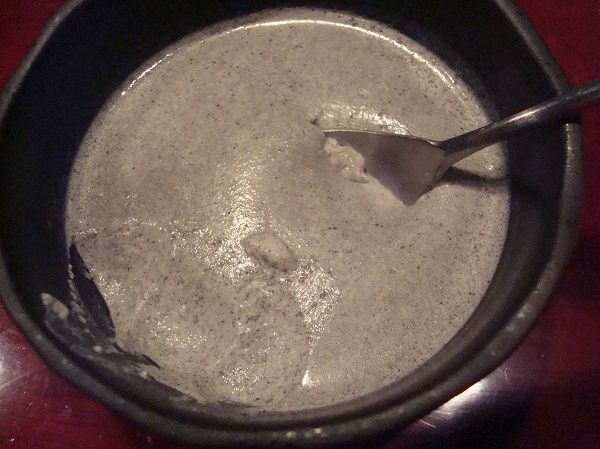 It is a bit bitter, but the dashi (dried kelp & bonito broth) used to season it makes it mild, which goes well with the other ingredients. 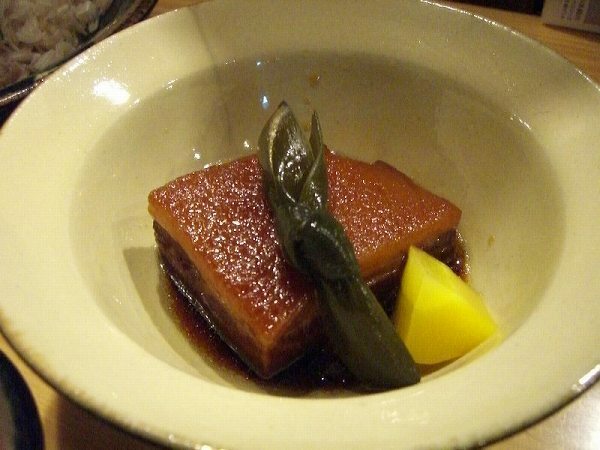 RAFUTEI (Simmered pork belly) for 1,050 yen is another famous Okinawa dish, It looks exactly like Kakuni, which we eat in the mainland, but instead of using sake to simmer it, awamori (Okinawa millet brandy) is used instead. 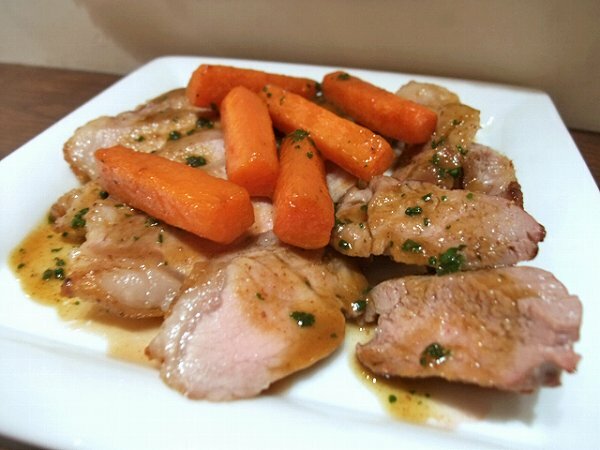 The pork belly is sweet and extra tender. 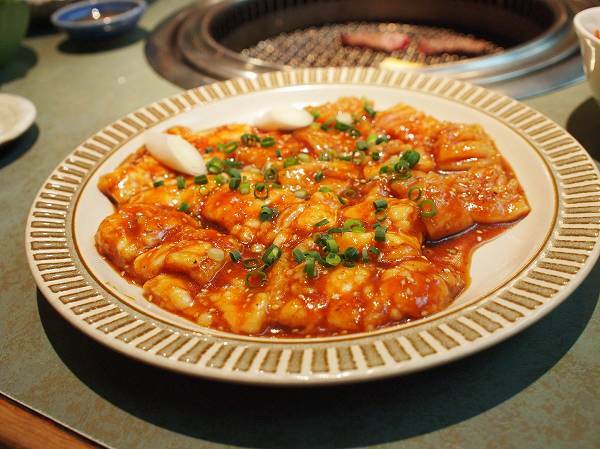 JIMAHMI TOFU (Peanut tofu) for 525 yen is another Okinawa dish, which is a must at any Okinawa restaurant. 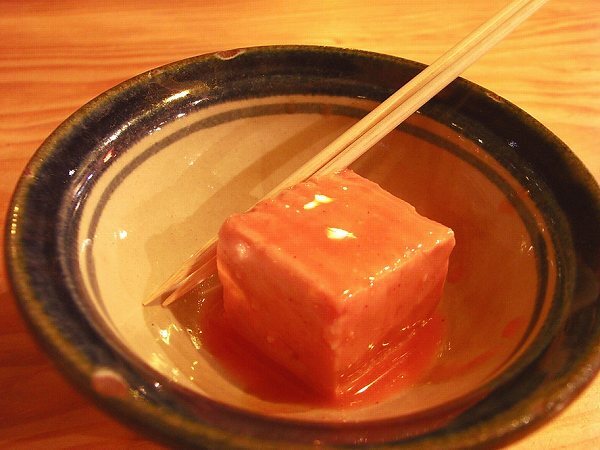 Unlike soybean tofu, its sweet and jelly like texture. 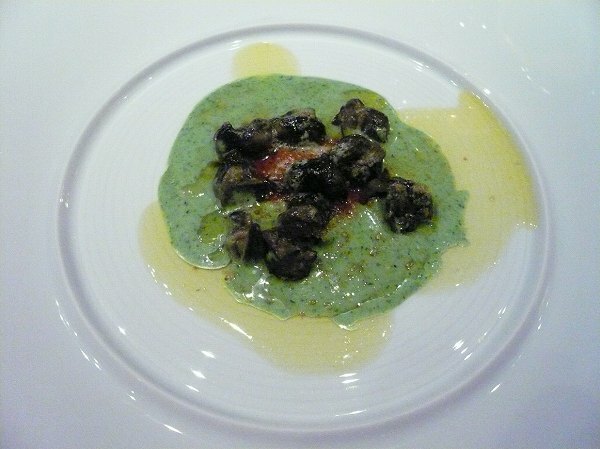 UMIBUDOH (Sea grapes or green caviar) for 840 yen only comes from the sea of Okinawa in Japan and you dip it into a soy sauce citrus sauce. There is no taste to it. You enjoy the texture or crunchiness of it. 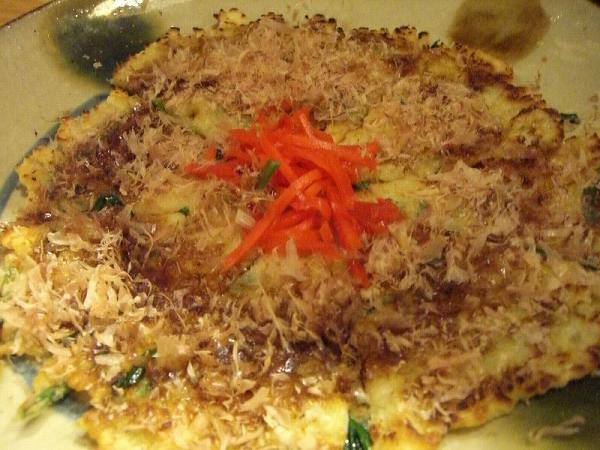 HIYAHRAHCHI (Okinawa pancake) for 735 yen is another dish which is popular to people who never ate Okinawa food. 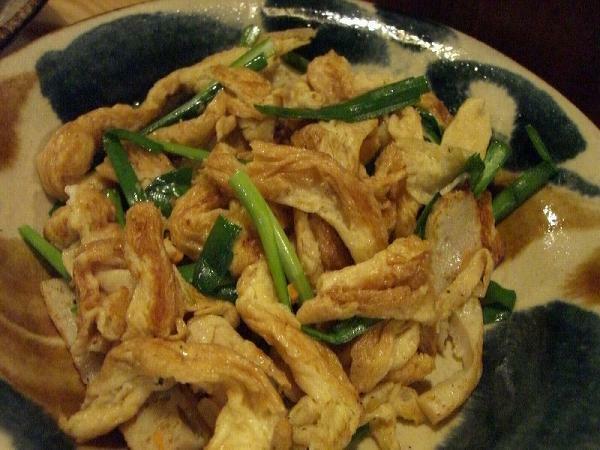 FUCHANPURU (Stir fried wheat-gluten bread) for 840 yen is another dish you won't find in the mainland, since we don't stir-fry Fu (wheat-gluten bread). 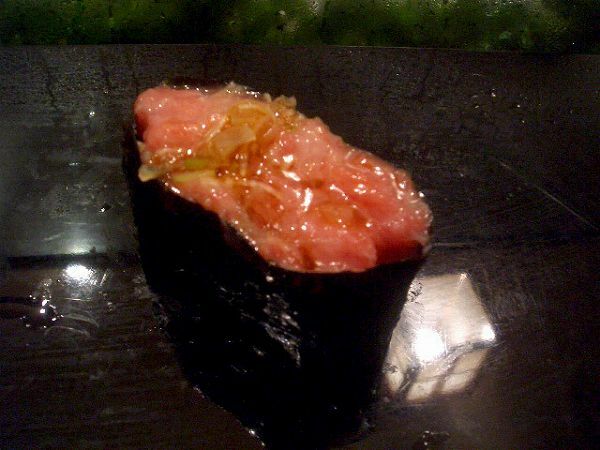 It is main used for osuimono (clear broth) in the mainland. 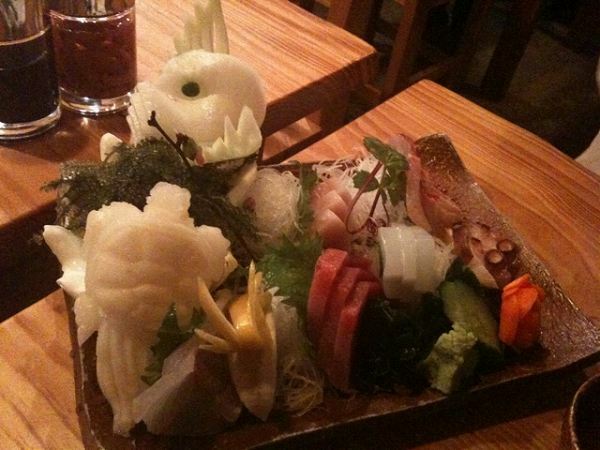 SASHIMI MORIAWASE (Assorted sashimi) is available as well, but most of the fishes used are tropical fish from Okinawa. 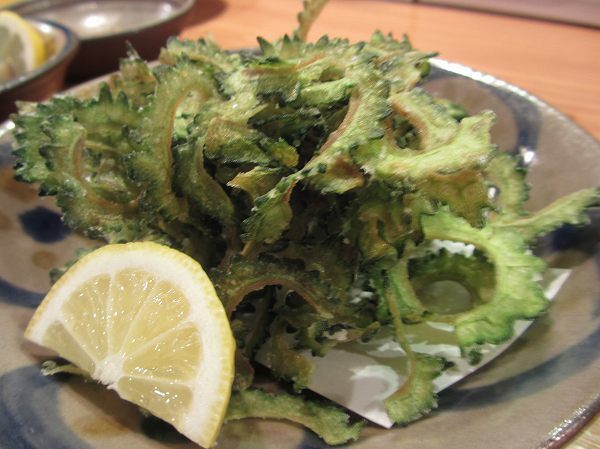 If you need a potato chips like snack with your beer or beverages, GOYA CHIPS (Deep fried bitter melon) for 840 yen is a good choice. 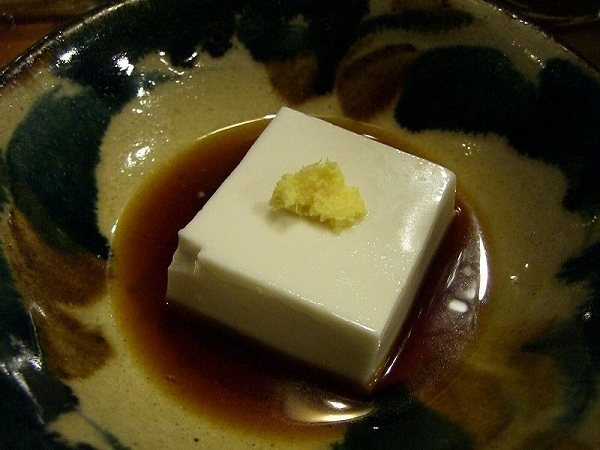 Also, TOHFUYOH (Pickled tofu) for 480 yen is tastes like goat cheese. 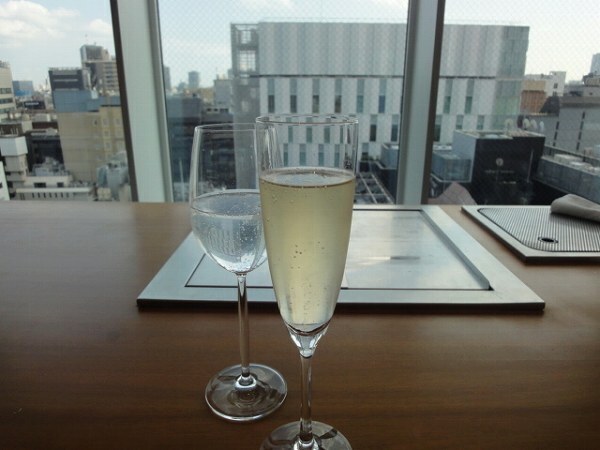 It goes great with awamori. 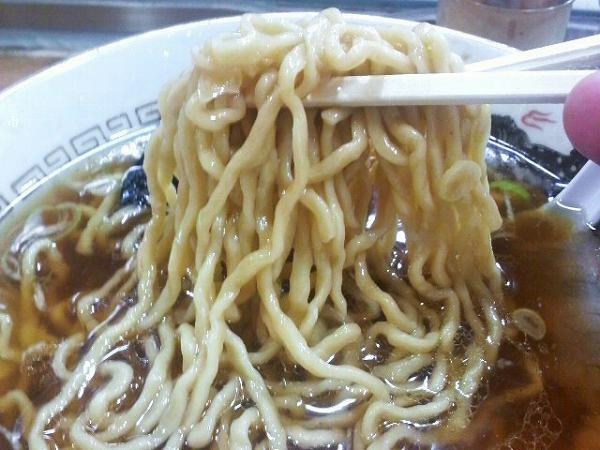 OKINAWA SOBA for 840 yen, where the noodles are somewhere between ramen and udon noodles since its made out of regular floor, not buckwheat like normal soba noodles. 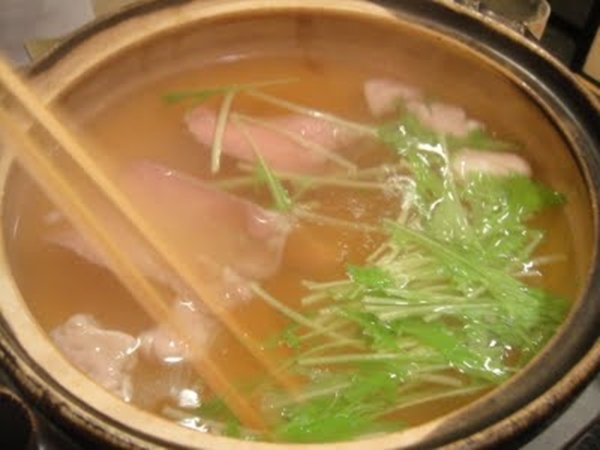 The broth is made out of dried bonito flakes and pork bones. 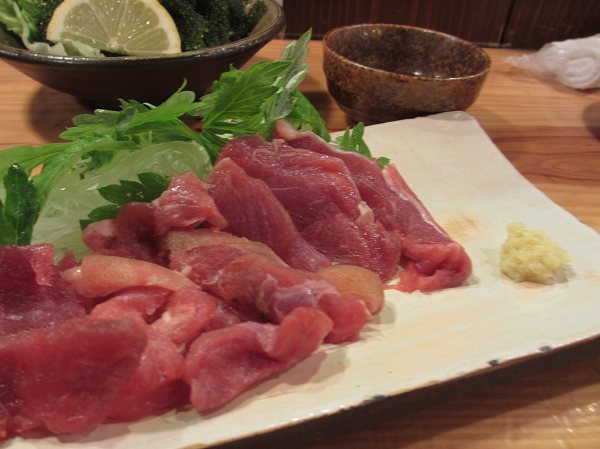 Now for the following dishes, it won't be for everyone to eat. 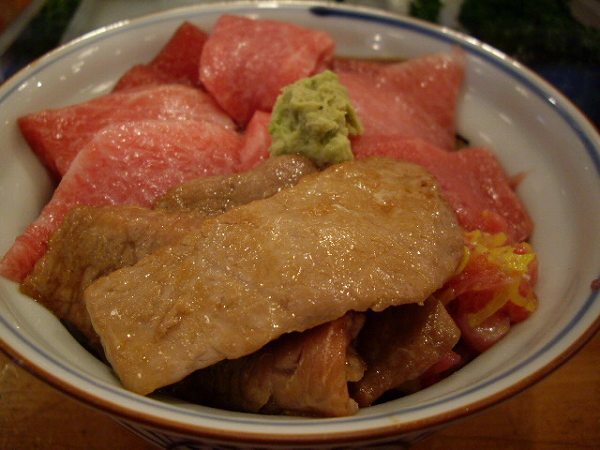 Even mainland Japanese people dislike most of these dishes, but they are authentic Okinawa food. 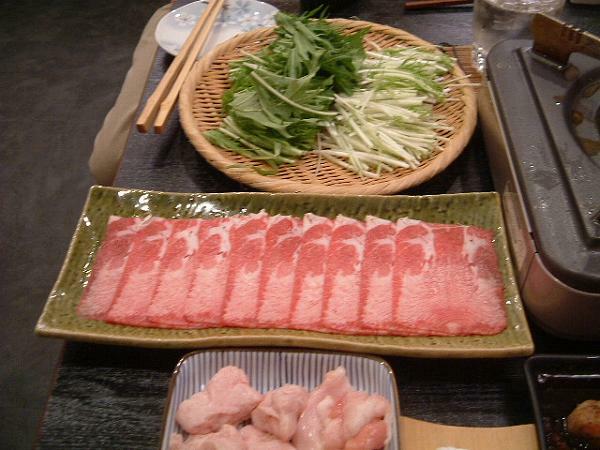 MIMIGAH SASHIMI (Boiled pork ear with vegetables) for 735 yen. 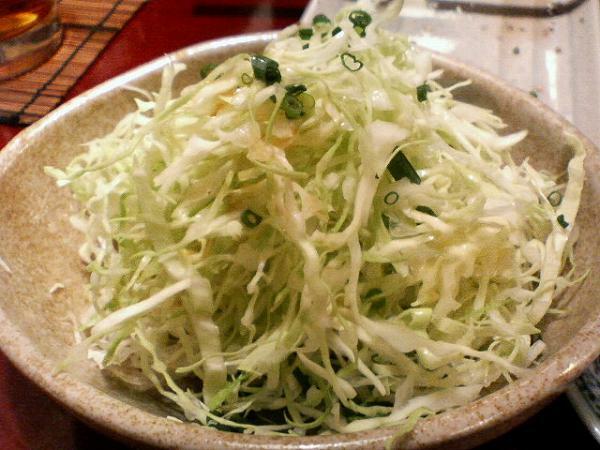 You dip in sanbaizu (vinegar sauce). It is crunchy with really no taste to it. 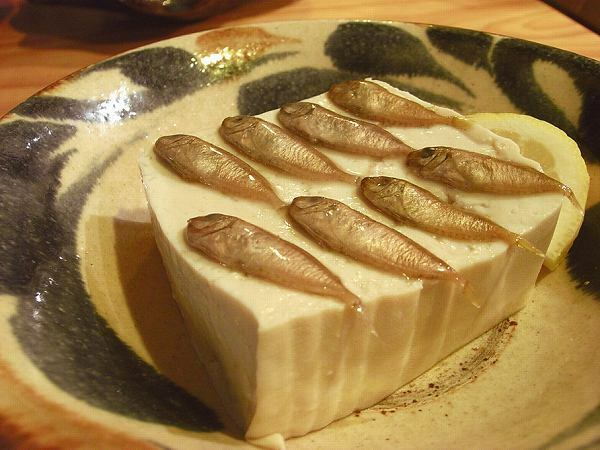 SUGARASU TOFU (Tofu with salted small fish) for 525 yen is another item you will never see in the mainland. 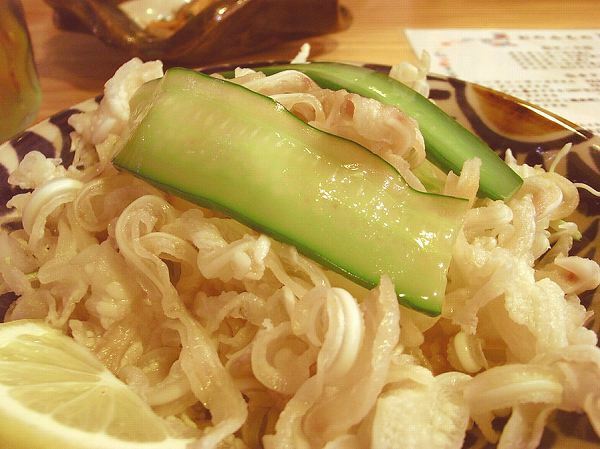 NAMAKO NO SUNOMONO (Vine grated sea cucumber) for 630 yen is a common dish in the mainland as well, but vinegar sauce they use is a little different. 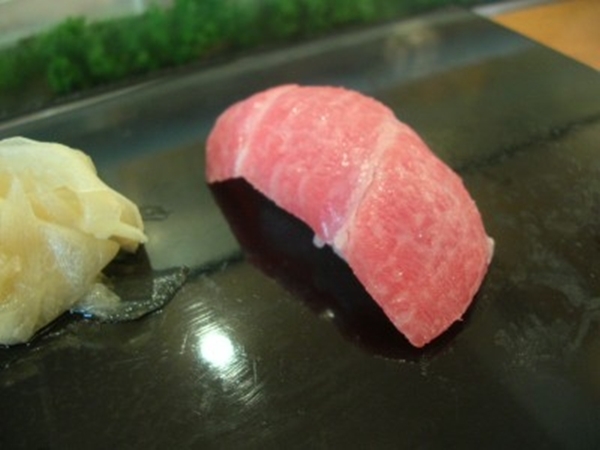 And the most uncommon dish that even many people from Okinawa dislike is YAGI NO SASHIMI (Raw goat sashimi) for 1,050 yen. 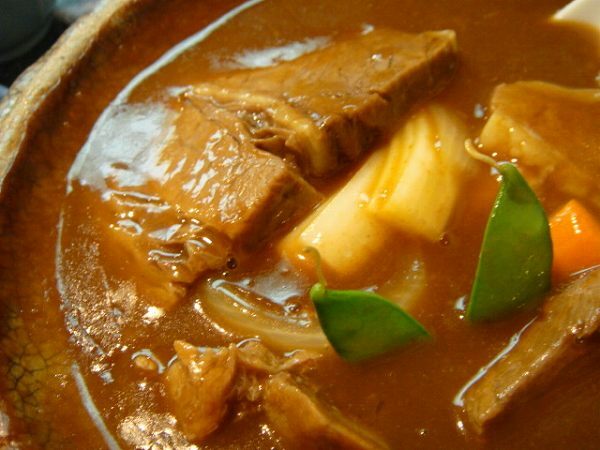 Goat meat is used for many dishes in Okinawa, but if you are not use to the smell of it, don't even think of trying any goat dishes. 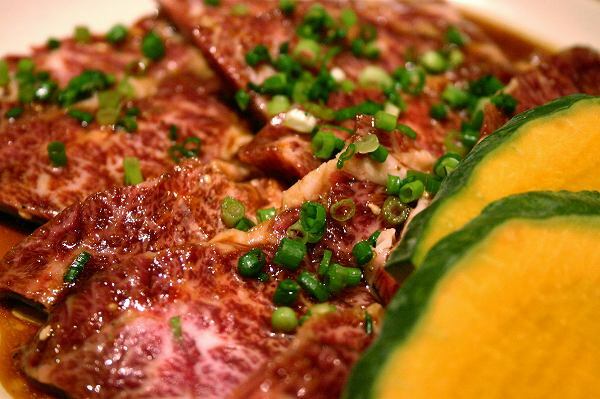 If its your first time to have Okinawa food, do consider Tokyo Urizun since they do provided authentic Okinawa food. 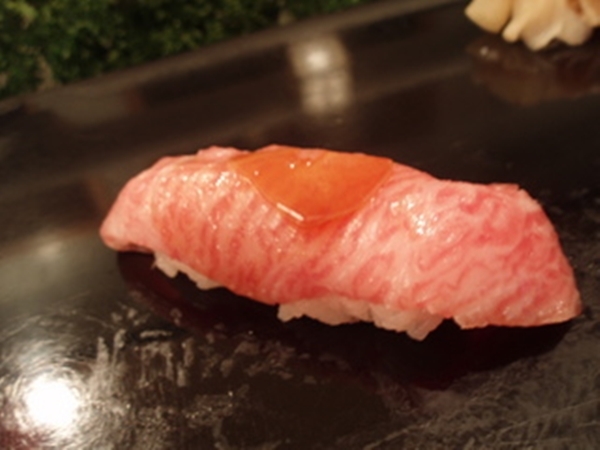 Most Okinawa restaurants in Tokyo, arrange the taste so mainland people can enjoy it, but its not the real deal. 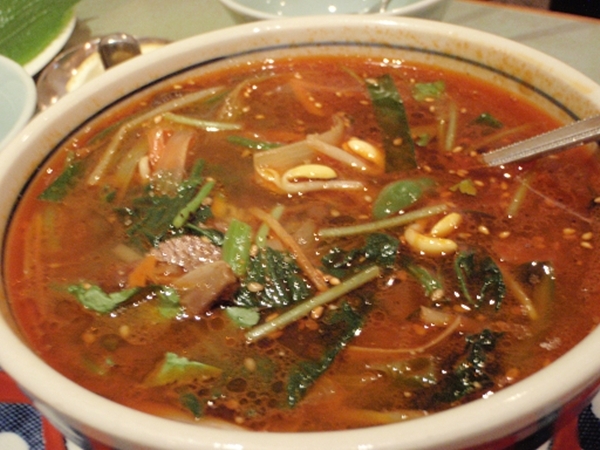 As long as you order the dishes, I recommended you will enjoy food at Urizun. 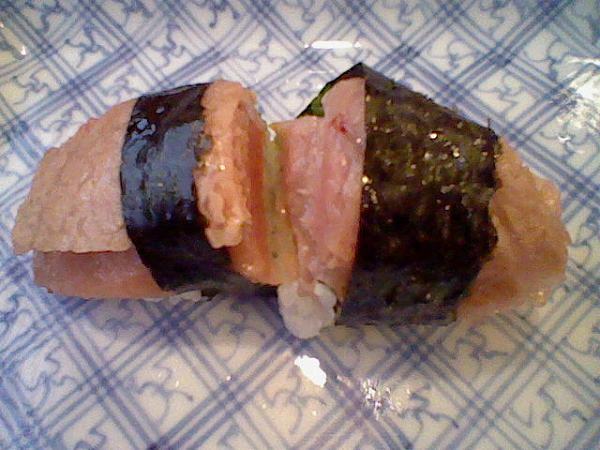 Also, its very healthy since they use limited amount of salt compared to normal Japanese food. 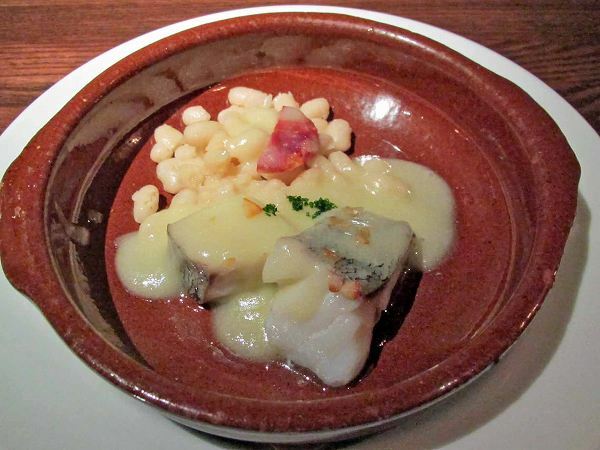 Food from Basque has become popular around the world over the last couple of years. 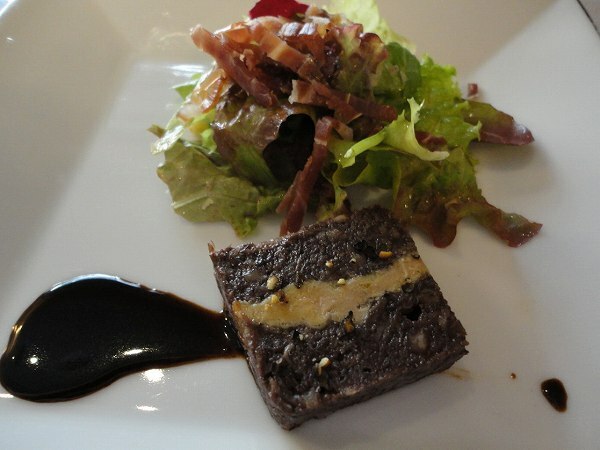 Mixture of French & Spanish food, which has attracted main tourists to visit for its food. 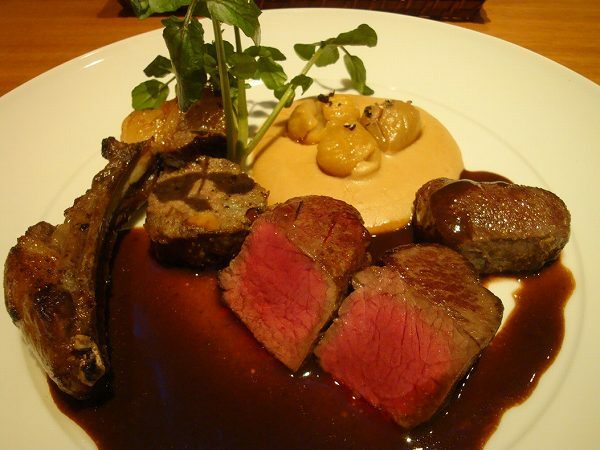 One of the popular restaurants which provides Basque food is ABASQUE at Shibuya. 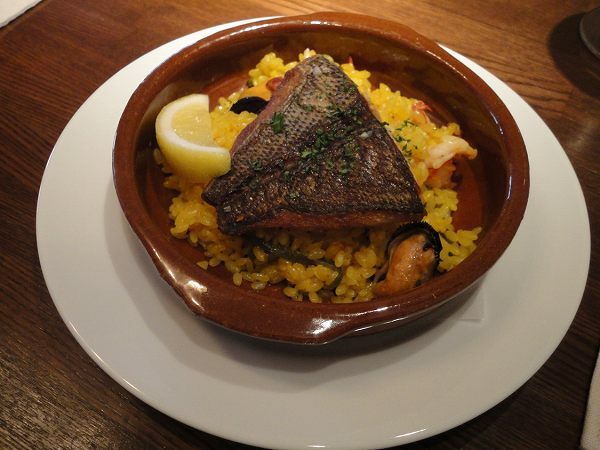 Abasque's food is more on the French side than Spanish. 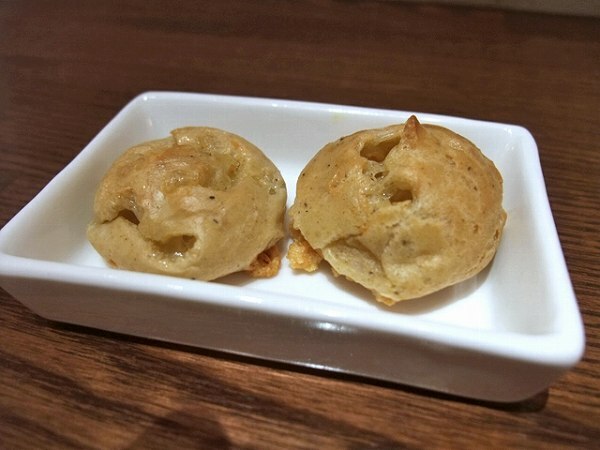 GOUGERES (Cheese puffs) will be served before they bring your drinks. 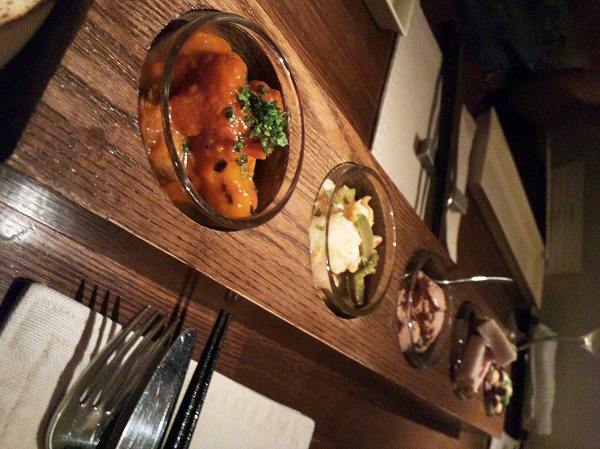 and also TAPAS 5 SHURUI MORIAWASE (5 tapas of the day), which is not only available dinner, but for Sunday brunch as well. 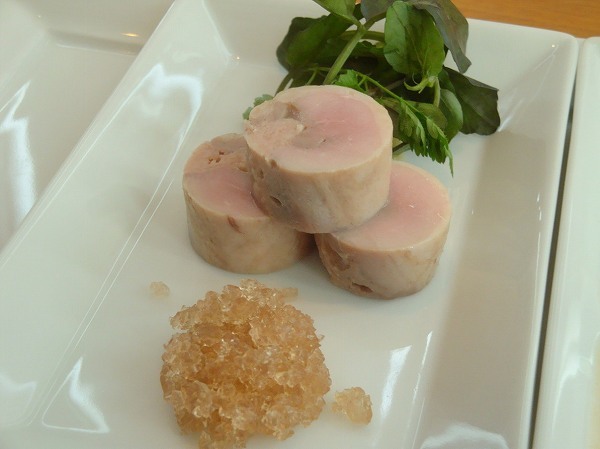 and TARA NO PIL-PIL SHIRO INGEN ZOE (Sauted cod with white kidney beans) and 4 other dishes are available as well. 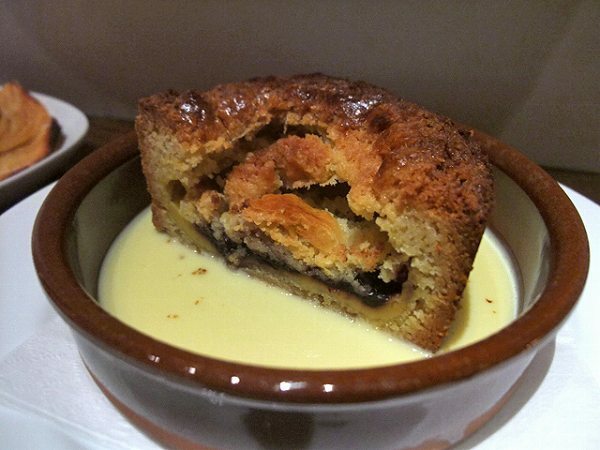 For desert, try BASQUE SAN DARK CHERRY NO GATEAU BASQUE (Basque style cake with dark cherries from Basque inside). 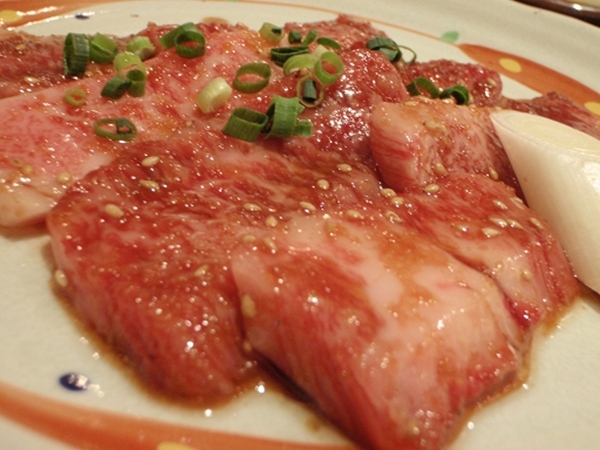 GYU HARAMI NO STEAK (Beef skirt steak). 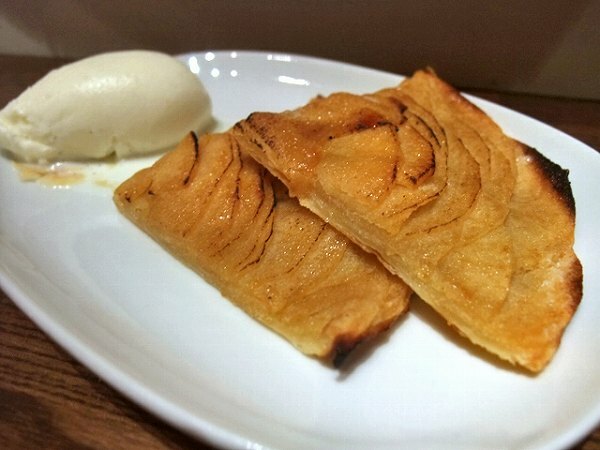 or ATATAKAI RINGO NO TART VANILLA ICE CREAM ZOE (Warm apple tart with vanilla ice cream) will be offered. 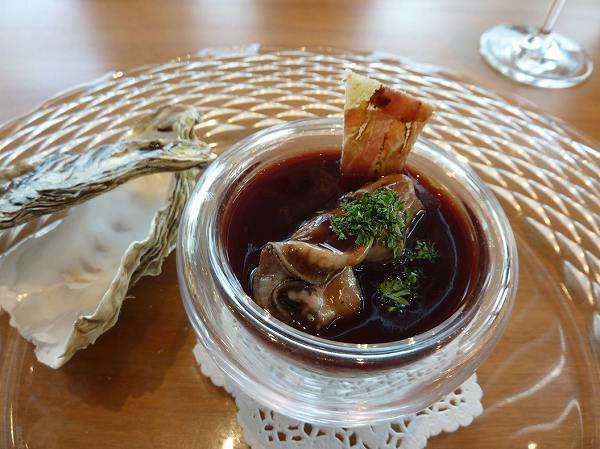 If you are going here for dinner the 1st time, I recommend to choose one of the course menus which is available for 4,935 and 6,300 yen. 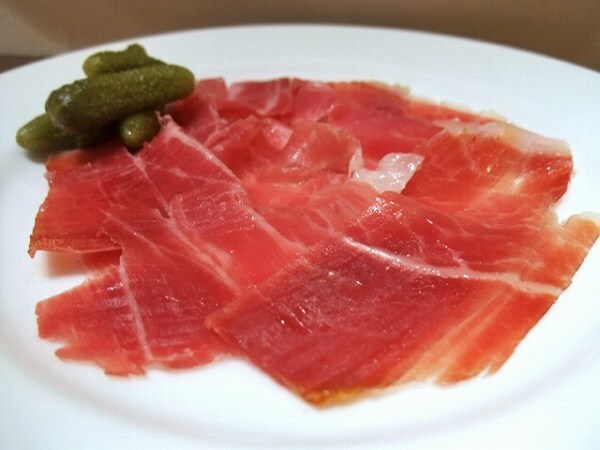 Their wine list doesn't have well known brands and is really focused on wine from the Basque area, so it is better to ask the sommelier for recommendations. 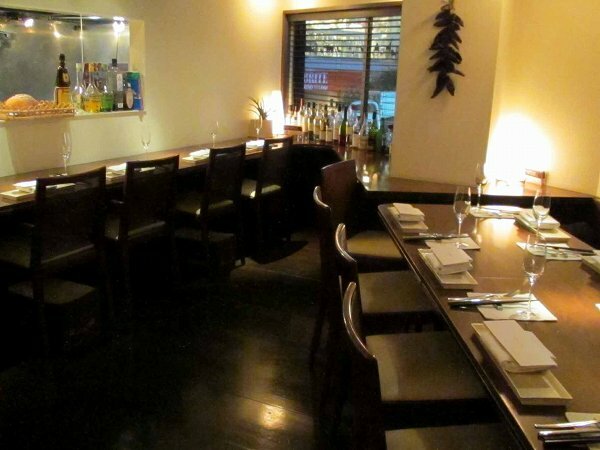 The decor of Abasque is simple and the size of the restaurant is small to say the least. 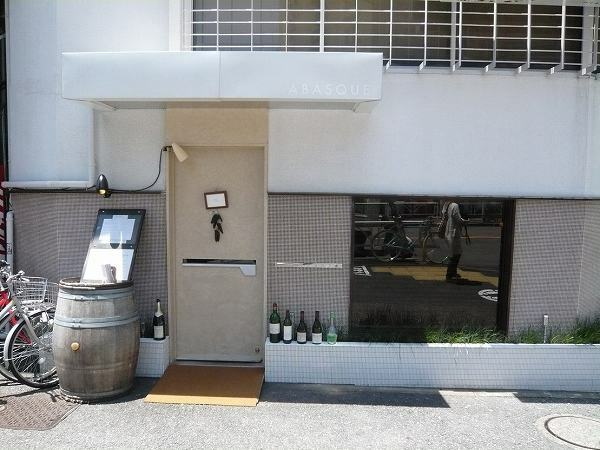 Some people say that its over priced simply because of the interior and not really for dates, but its still one of the best Basque restaurants in Tokyo, For your reference, Michelin did give Abasque, one star. 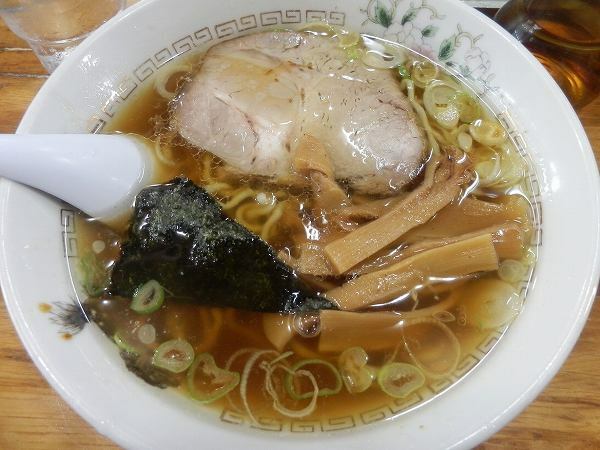 Ogikubo was once called the ramen center of Tokyo because of two famous shops that any ramen freak knows. 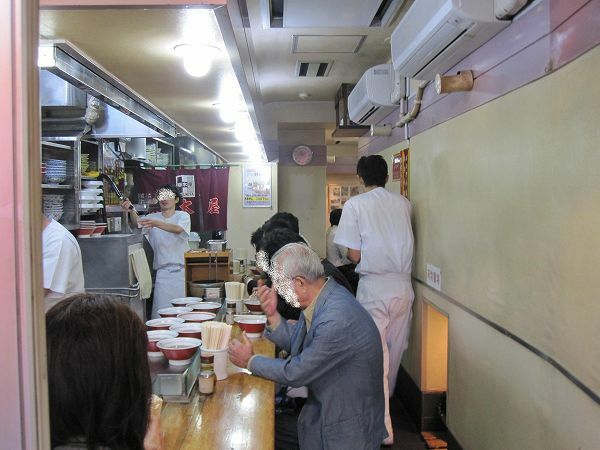 One of them closed several years ago which actually was my favorite ramen shop, but the one that is still around HARUKIYA has survived for over 60 years and is still one of busiest ramen shops with people waiting in line all the time. 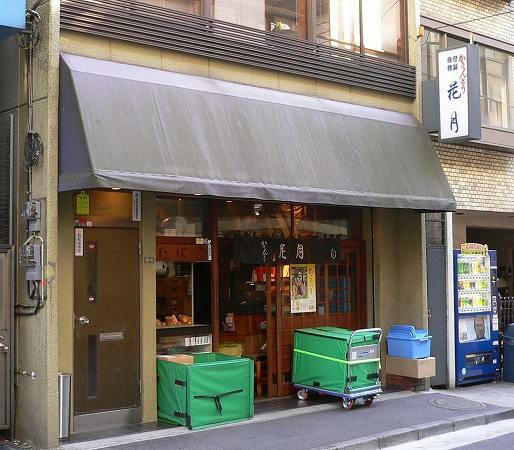 It was also one of the ramen shops that was featured on the famous ramen movie of the 80's, Tanpopo. 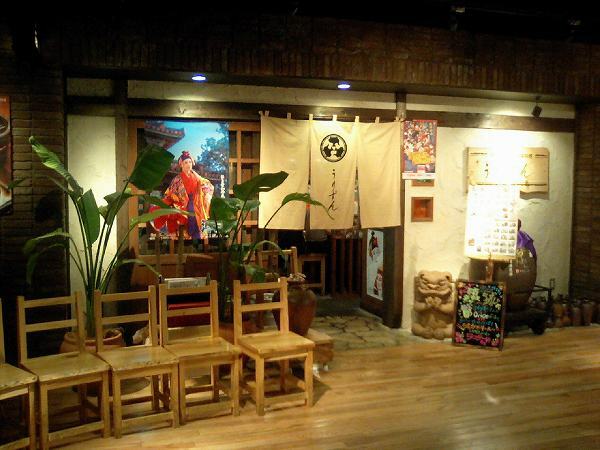 Harukiya opened in 1949. 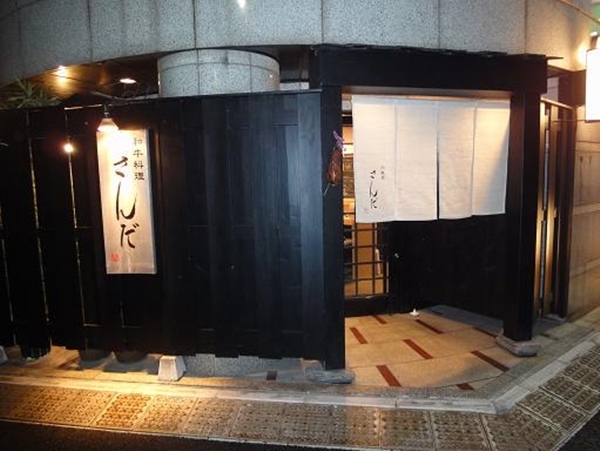 The late owner/chef Imamura was originally a soba chef, but since it was right after World War II, he couldn't get a hold of good buckwheat only regular floor. So he decided to open a ramen shop instead without any proper training. 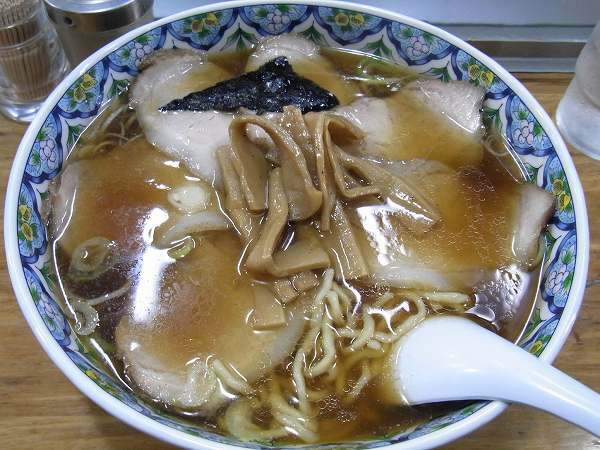 Harukiya's ramen is a shoyu ramen (soy sauce ramen) and from noodles to menma (bamboo shoot) its all homemade. 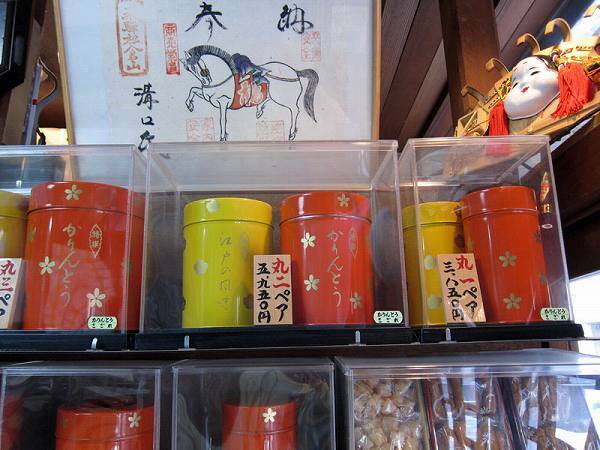 It is one of the first ramen shops to use niboshi (dried sardines) for its broth. 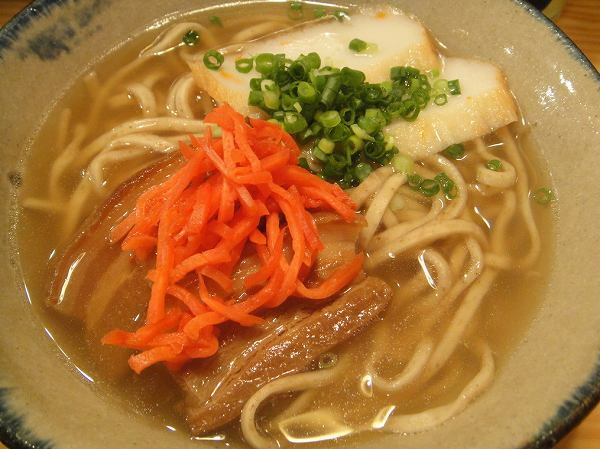 He got the idea of using niboshi from soba broth. 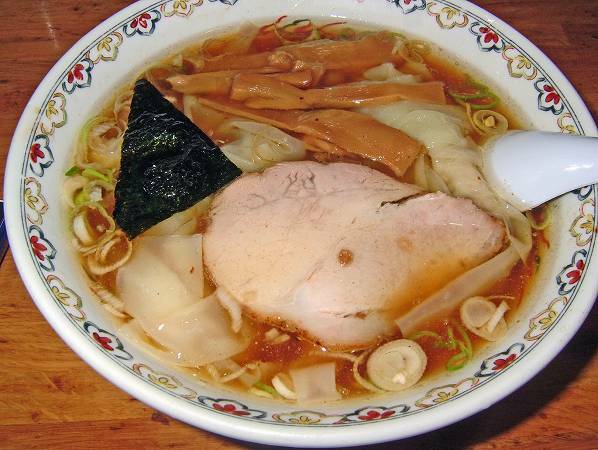 The ramen is very simple and has authentic Tokyo style toppings. 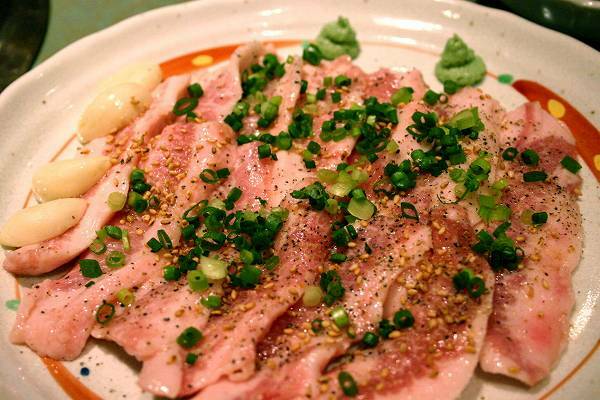 Spring onions, menma, chashu (boiled pork) and nori (dried seaweed). 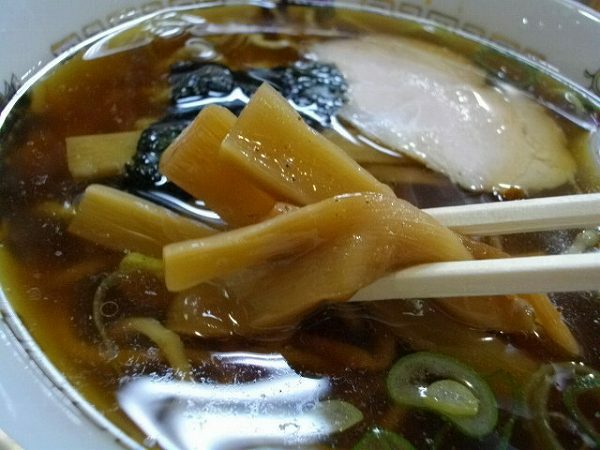 But the soup isn't since niboshi is not used for most of the authentic Tokyo style ramen broths. 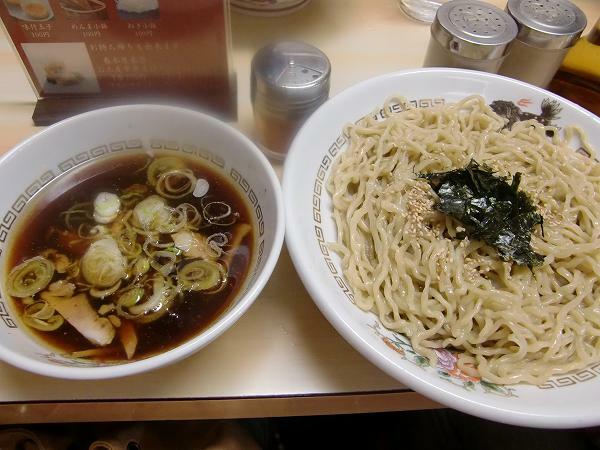 Regular ramen is called CHUKASOBA at Harukiya for 800 yen. 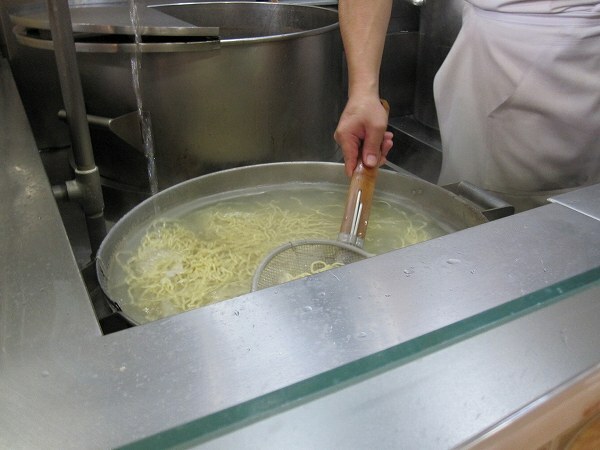 Noodles are rather thick, but not extra thick and are wrinkled by hand. Their menma is my favorite of all the ramen shops and I always order extra. 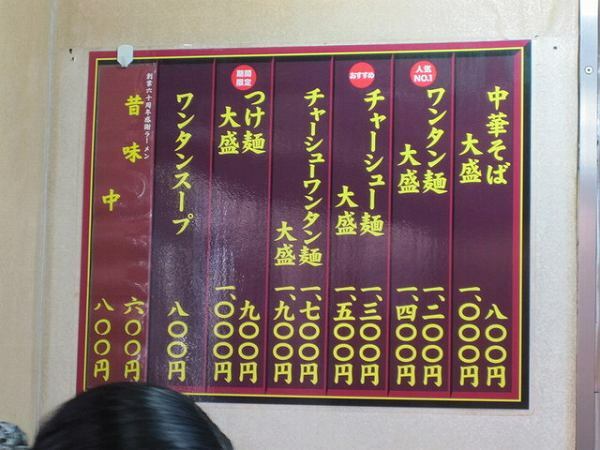 and recently they added TSUKEMEN for 900 yento their menu. 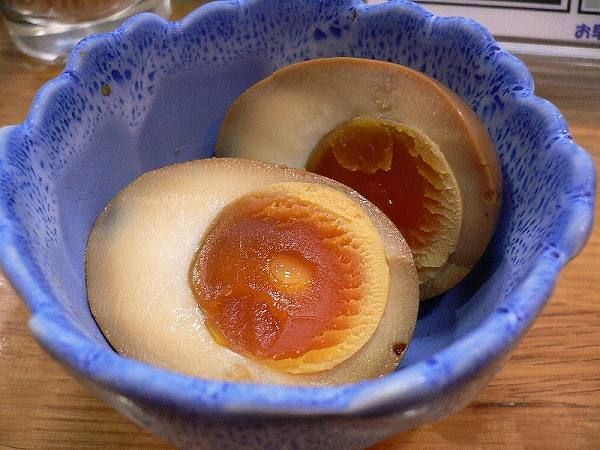 They also have toppings like AJITSUKE TAMAGO (Flavored boiled egg) for 100 yen. 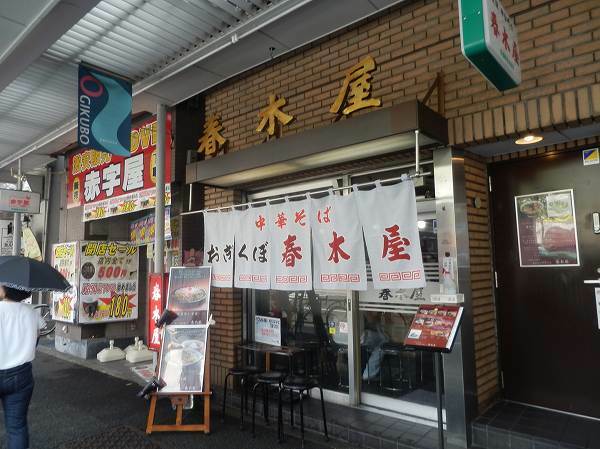 Harukiya was my late parents favorite ramen shop and since its been open for over 60 yrs many people like me have come here to eat with their parents or family. 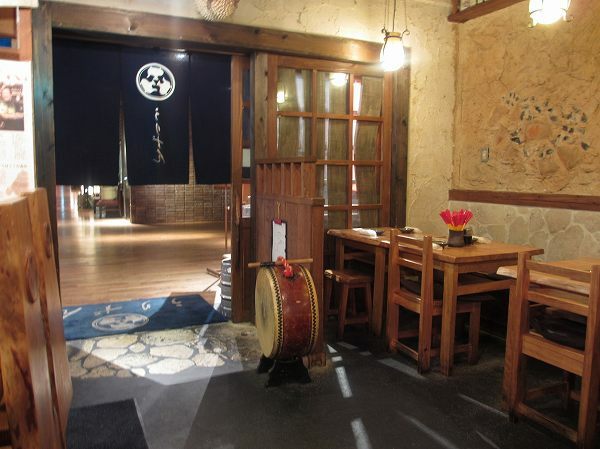 Since I don't live near by anymore I don't get to go here as much as I want to, but it will always be one of my favorite ramen shops with many memories. 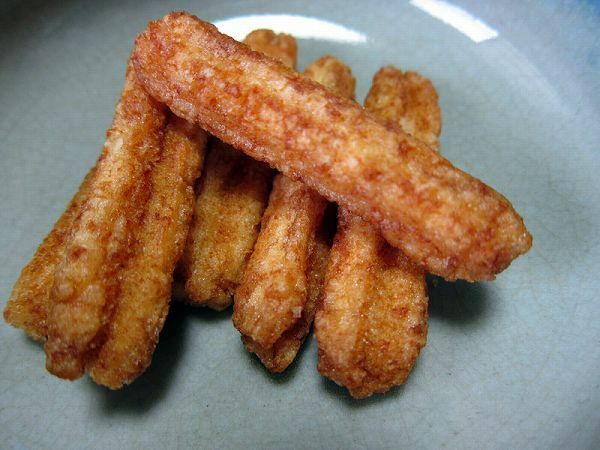 Karintoh (Fried dough cookies) are more popular to older people since its a traditional down to earth Japanese sweet. 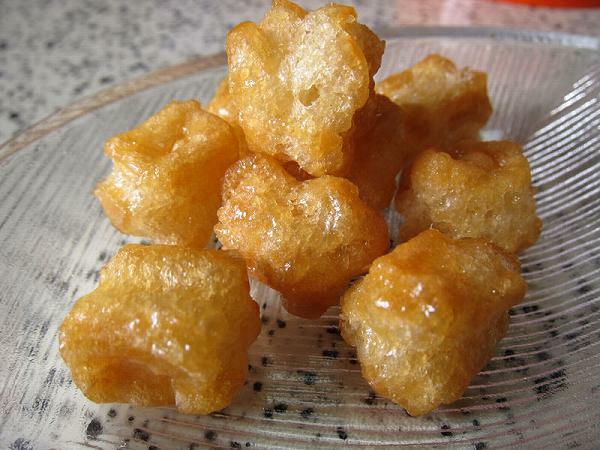 Even when I was growing up, whenever my mother bought some at the near by supermarket, I would never touch them. 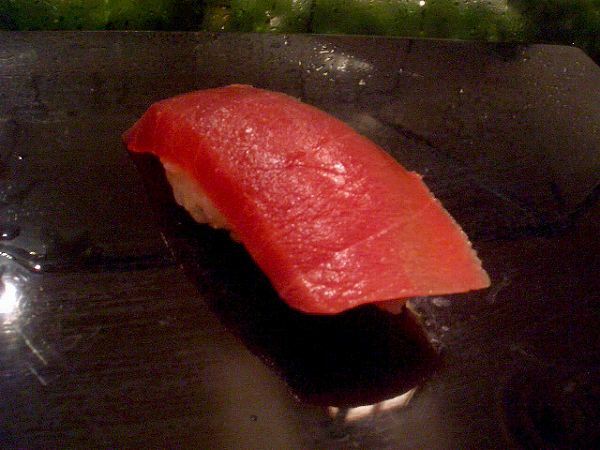 But when her friend brought karintoh from KAGETSU at Yushima as an omiyage (gift when visiting someones house), they were totally different. 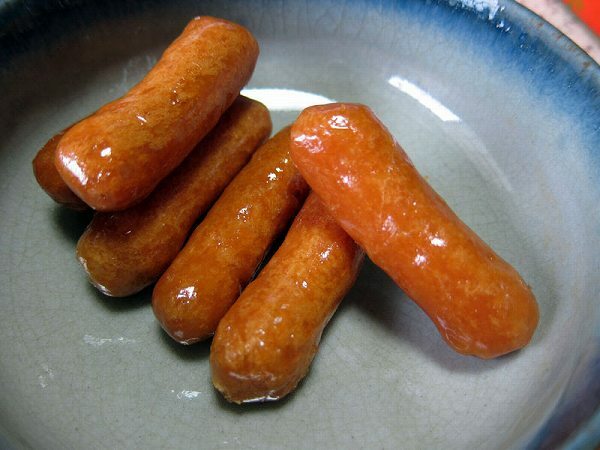 Usually, karintoh are much thinner and darker since its coated with brown sugar syrup, but Kagetsu's it bigger in size and coated with regular sugar syrup. 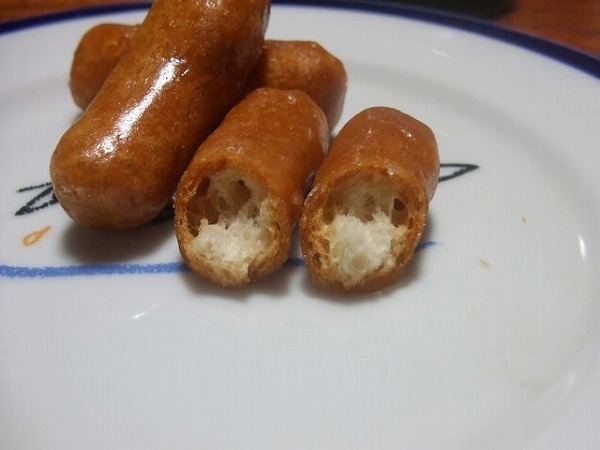 It is lighter inside as well, which makes it less oily than normal karintoh. 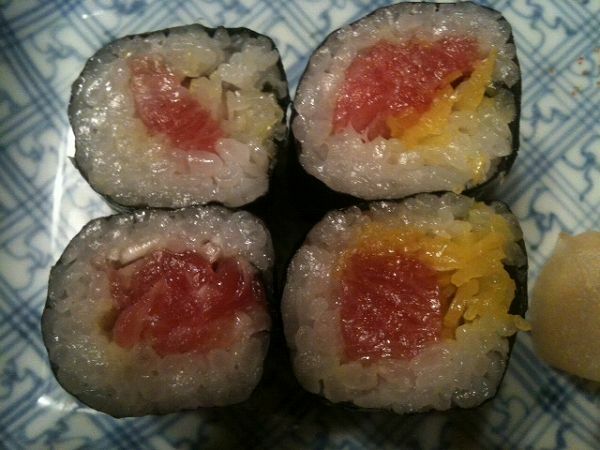 It goes great with green tea (hot or cold) and its a great afternoon snack. or they will wrap it up for you in a beautiful cloth, both for an extra fee. 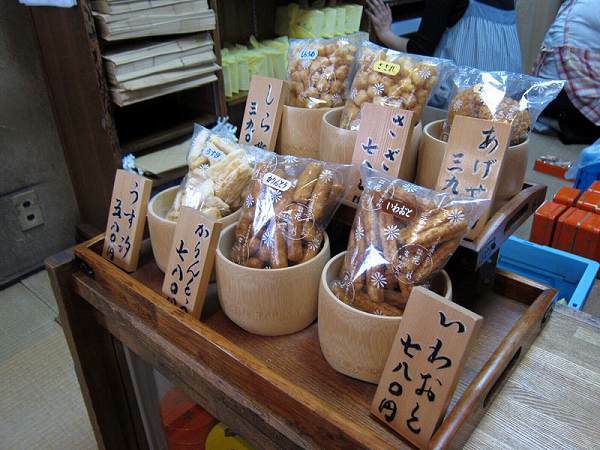 But if you are just eating it at home, you can purchase it in a regular plastic bag for 780 yen. and IWAMOTO. They are great as well, but if you are only purchasing one item that would be karintoh, nothing else. They last for about a month or so if you don't open it, and once you do about a week or so. If you are a tourist visiting from another country it will be a great present to bring back home. 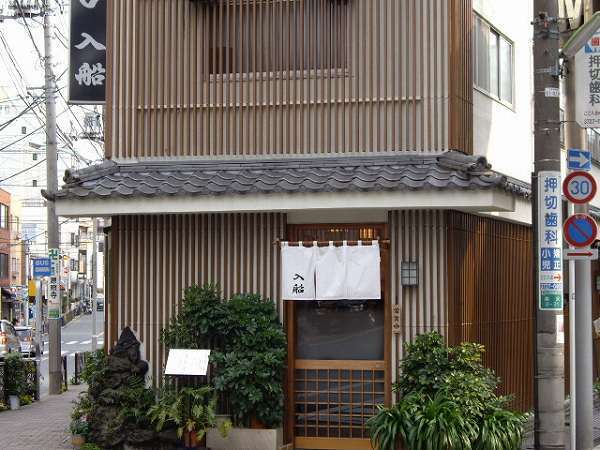 There are 3 famous karintoh shops in Tokyo, Tachibana at Ginza, Kozakura at Asakusa, but by far Kagetsu is my favorite. 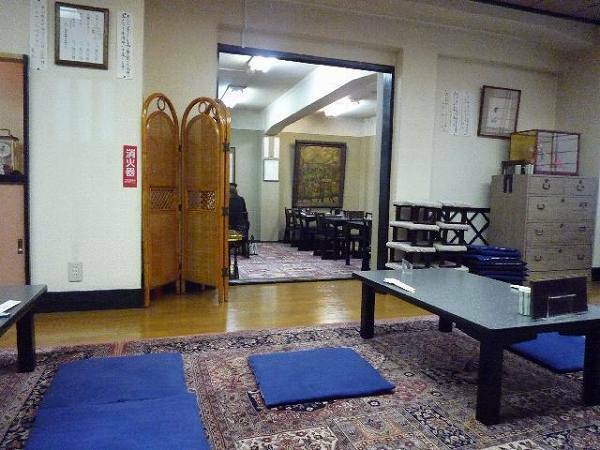 You can get to Kagetsu from Yushima, Ueno-Hirokouji, Okachimachi, and Ueno station as well. 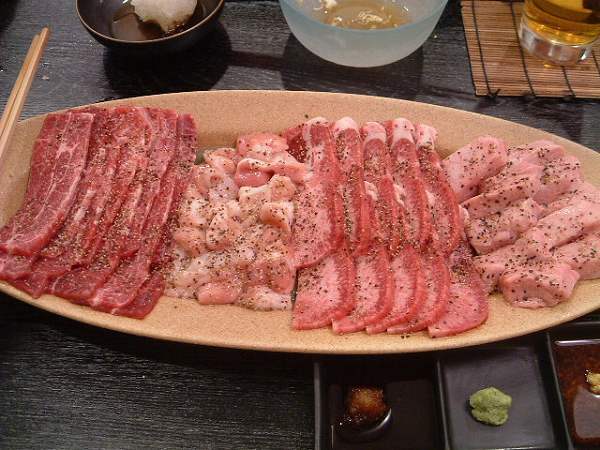 Wanna enjoy various parts of wagyu beef which is cooked in many different ways? 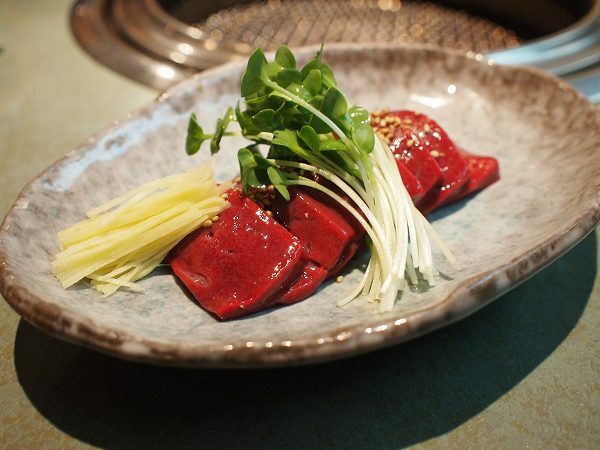 Of course, you can go to a regular yakiniku or Korean restaurant, but one of my favorite places is SANDA at Roppongi, which they called themselves a wagyu kappo restaurant. 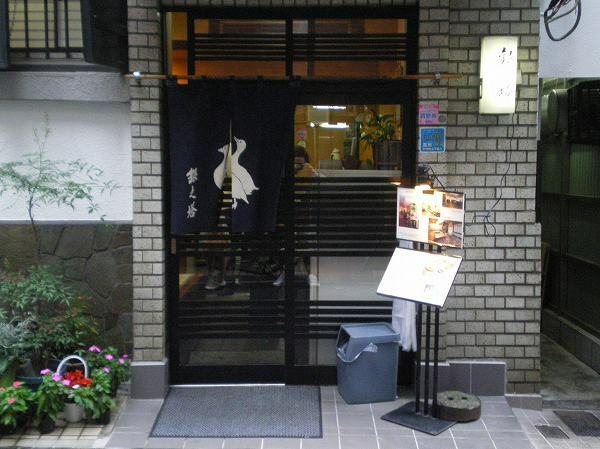 Sanda only has one course menu for 6,300 yen and nothing else, but its great value. 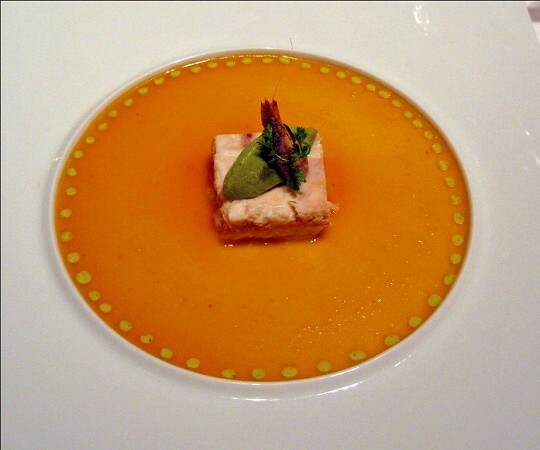 The course will start out will 4 appetizers. 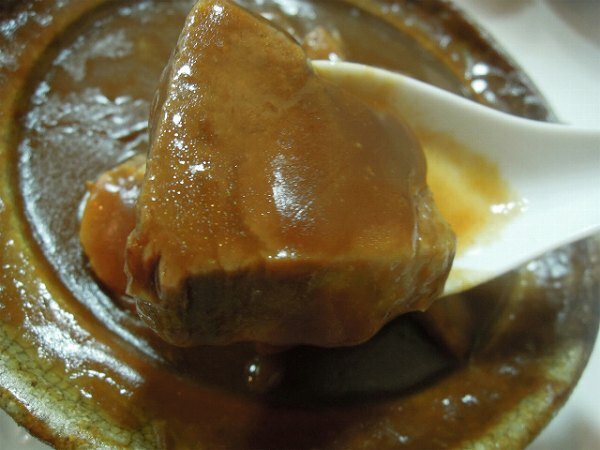 HACHINOSU NO GOMAAE (Boiled tripe with sesame), DAIDOUMYAKU CHUKAFU (Boiled aorta Chinese style), ACHILESUKEN NO PONZU (Achilles' tendon marinated with ponzu sauce), TONGUE DANGO NO SOUP (Grounded tongue meatball with beef soup). 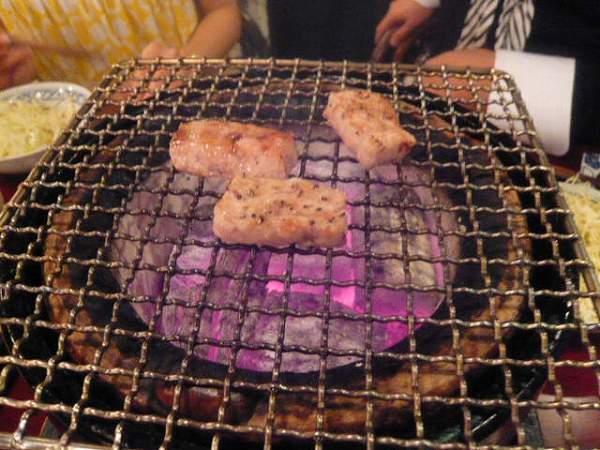 which you will cook on a charcoal brazier. 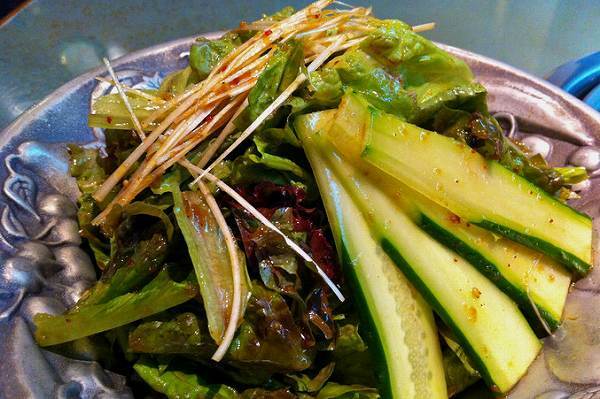 which comes with MIZUNA (Potherb mustard) as well. 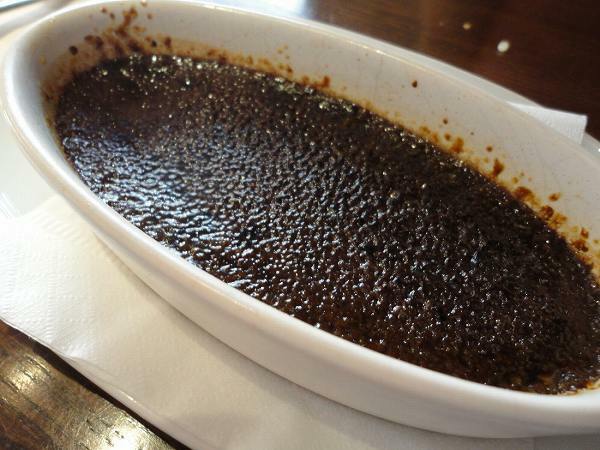 And for dessert, usually KUROGOMA PURIN (Black sesame pudding) is served to finish the meal. 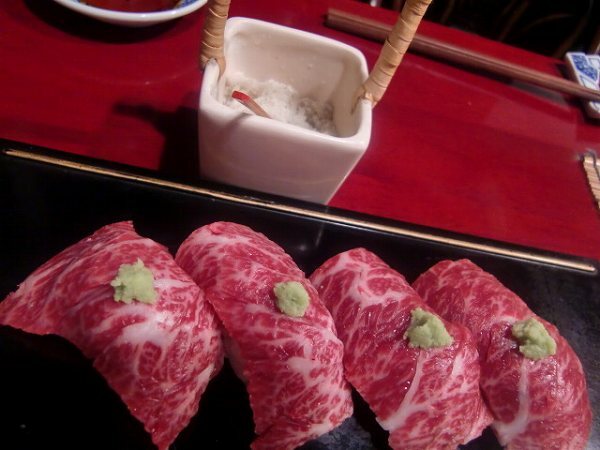 I know this restaurant many not be for people who haven't ate various parts of beef since they were young, but if you don't become prejudice and just try to enjoy what you are having Sanda's food is fantastic. 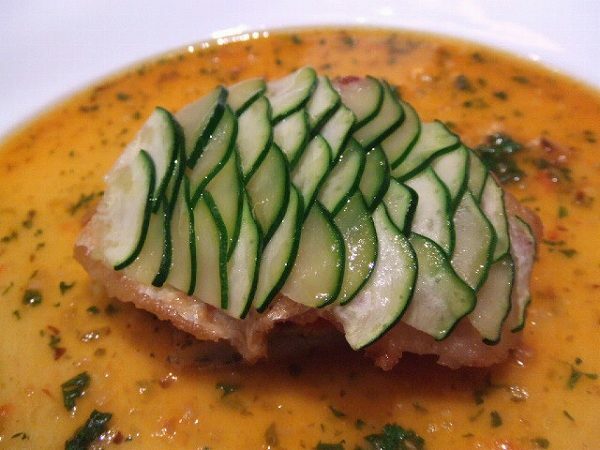 One of the most famous French chef's in the world, Paul Bocuse dines at Sanda whenever he is in Tokyo and I have taken many people here who are true foodies (meaning they would try anything as long as it is good) and all of them loved Sanda. 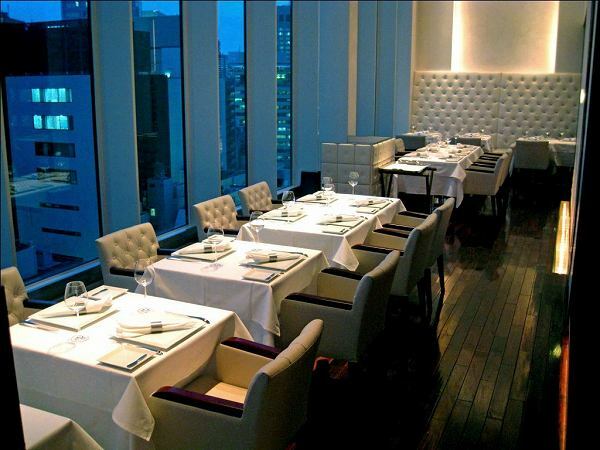 Where would I recommend to dine in the middle of Ginza which has great food, view, service, atmosphere, affordable and also great value? At the top of a very short list that restaurant would be CHEZ TOMO. 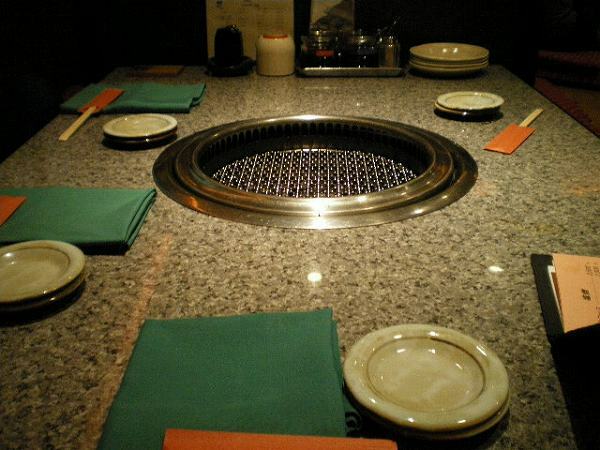 Chez Tomo originally opened in Shirogane and has been popular ever since it opened. 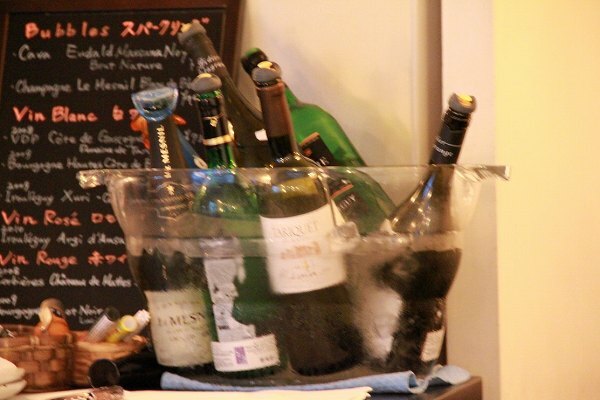 Prices were reasonable including their wine list, which not only attracted many foodies, but wine lovers as well.. 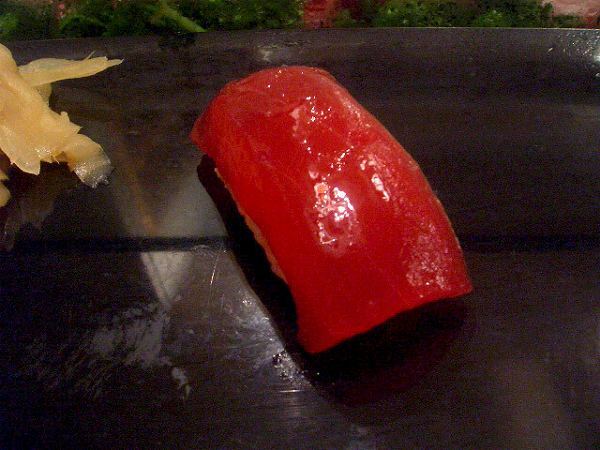 When I first heard that they moved to a prime location in Ginza, I imagined that the prices would increase significantly, but when I saw prices on their website it was the same, which amazed me since rent must be at least double from their old location. 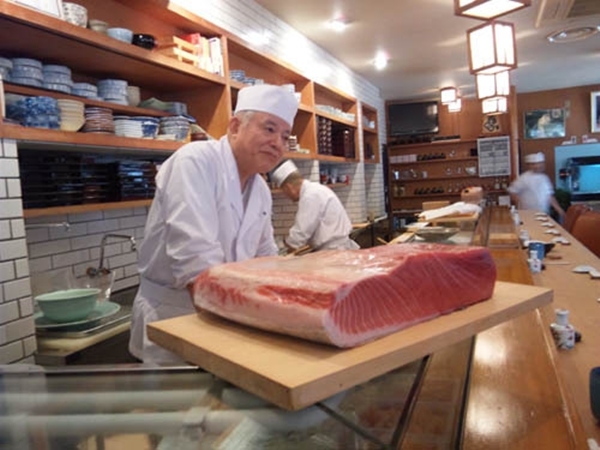 But later on, I found out that Chef Ishikawa got an amazing deal from the buildings owner, who's wife was a regular at Chez Tomo. 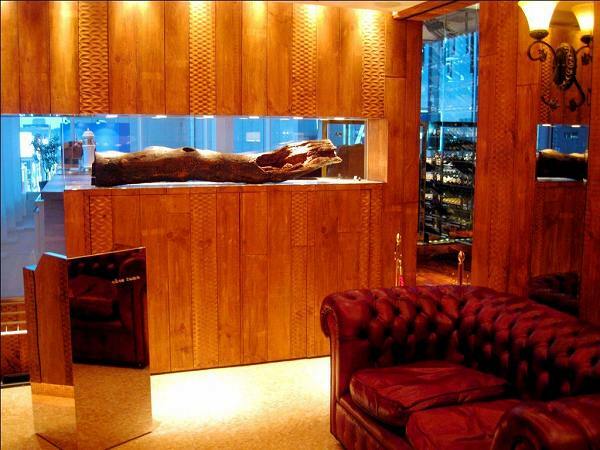 And now they even have a view to go with their great food and service. 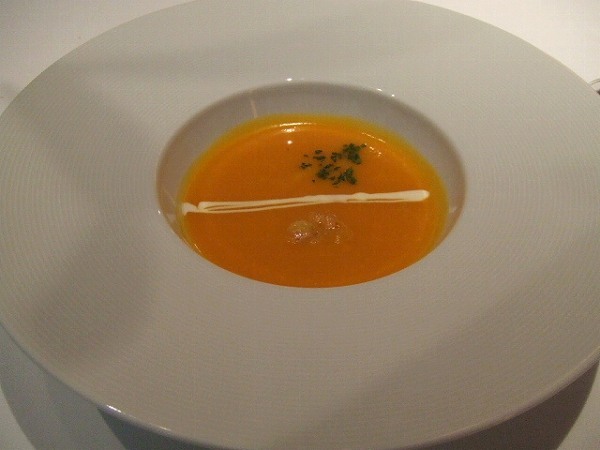 You should order either 5,780 or 6,980 yen course menu. 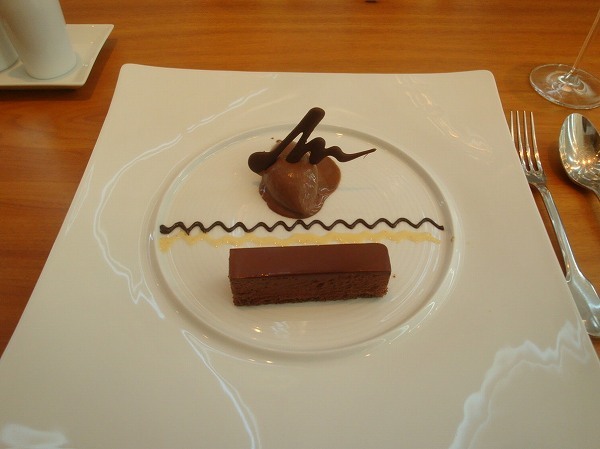 The difference is that 6,980 yen has one additional entree. 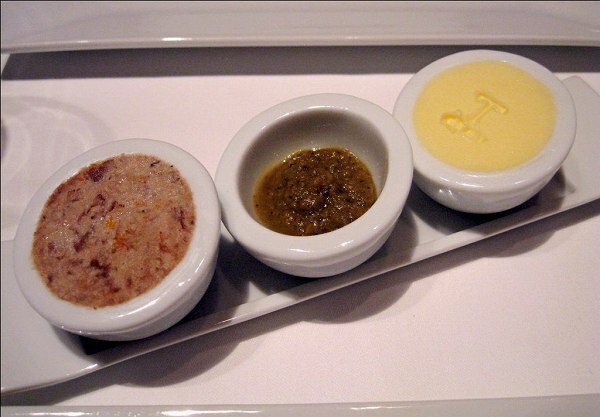 Like most restaurants, first bread will be served with pork rillete, anchovy & olive paste, and unsalted butter. 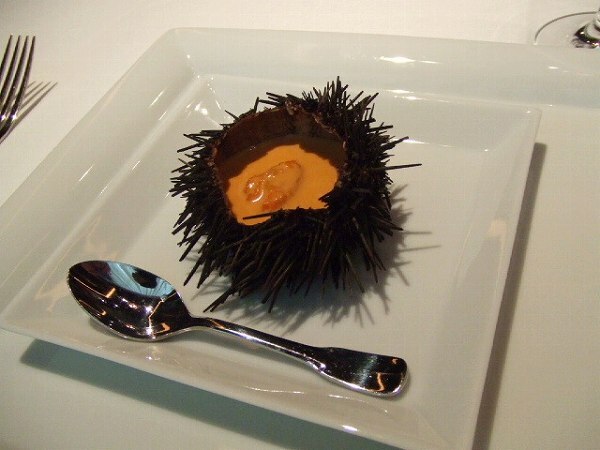 Both courses will start with Chef Ichikawa's specialty, NAMAUNI NO KIFUJINFU (Fresh sea urchin grande dame style). 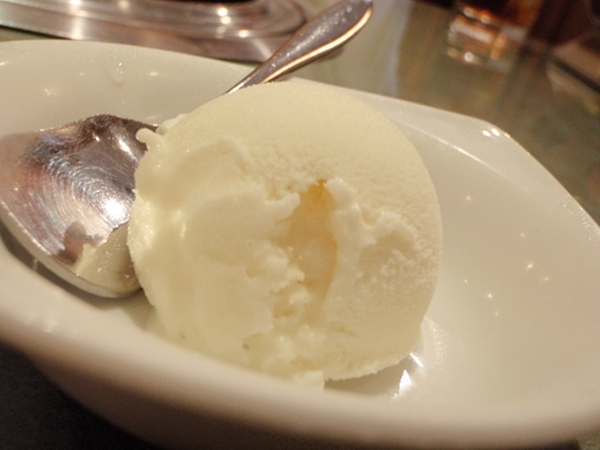 It is very creamy and rich. 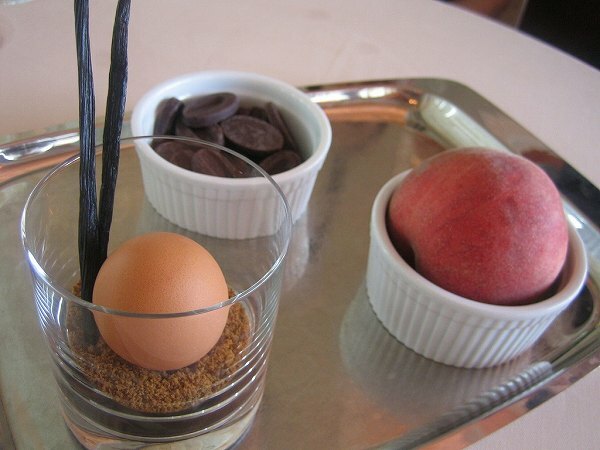 A great amuse to start out your meal. 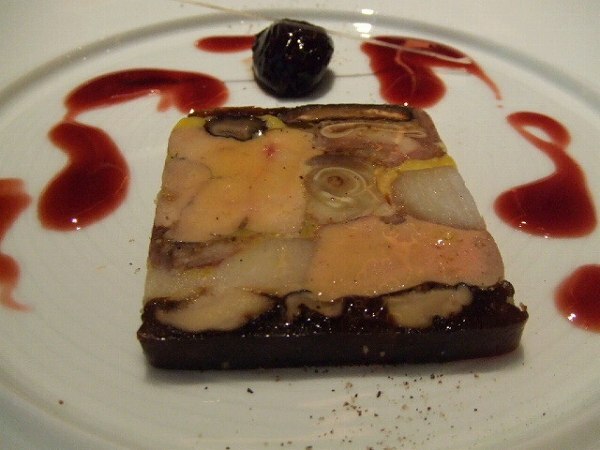 and MARBLE JITATENI PRESS SARETA FOIE GRAS, FUYUKARESHIITAKE, SATOIMO, BUTA NO MIMI NO TERRINE PLUM NO AKAWINE COMPOTE ZOE (Foie Gras, winter shiitake mushrooms, taro, pigs ear terrine with plum & red wine compote). 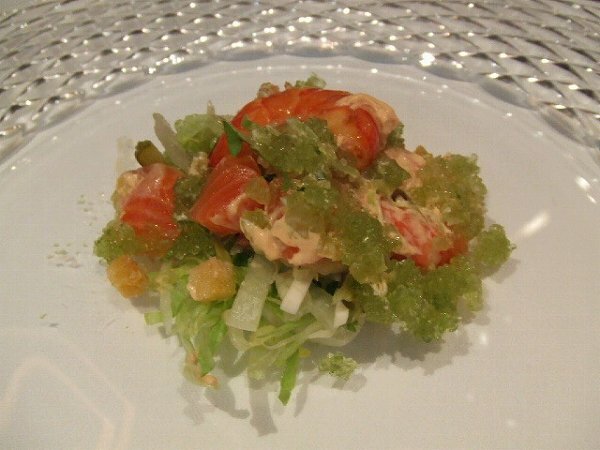 Next is your 2nd Hors-d'oeuvre and another chef's special, MUNOUYAKU YASAI TACHI SANJYUSHU NO MORIAWASE (30 different organic vegetables). Some are marinated, some are just boiled, some are grilled. 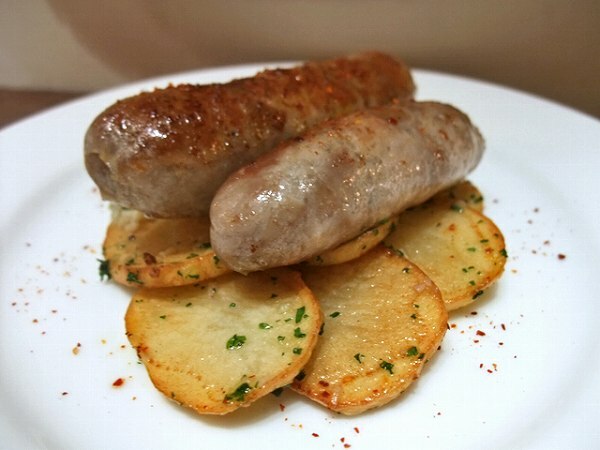 Its the simplicity what makes this dish special. 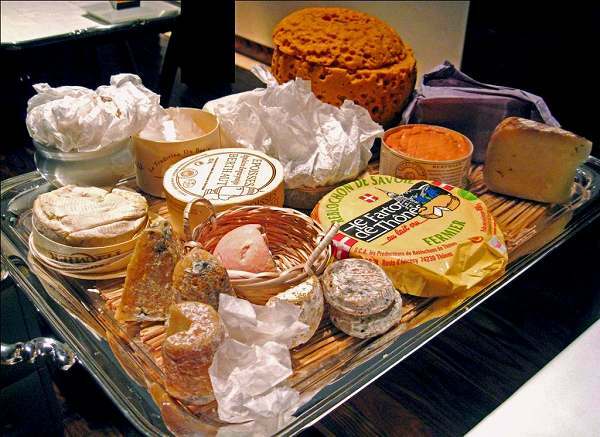 If you want you can order cheese before desert for an extra fee. 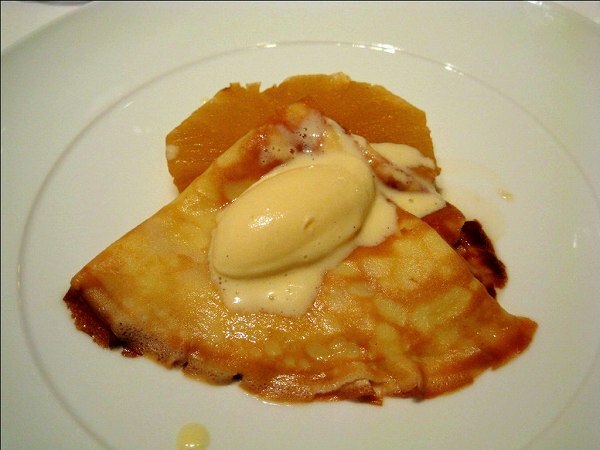 and MOMO NO ZELII TOH SORBET PEACH CHIPS ZOE (Peach jelly and sherbet with dried peach chips). 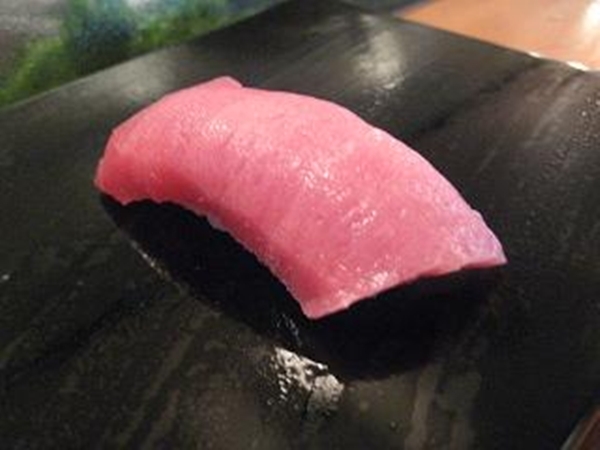 Value wise Chez Tomo is as good as it can get. 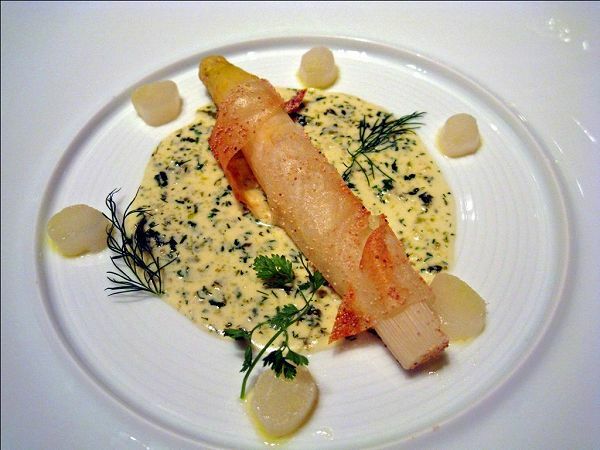 There aren't too many other restaurants especially French that come par to Chez Tomo value wise. Because of their location, they could be charging at least 50% more. They have two floors you can dine at. 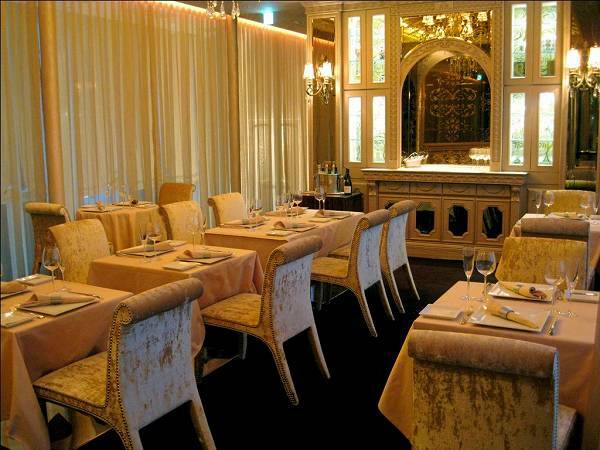 First floor, more of a modern decor where most customers dine and second floor more classical decor used for parties. 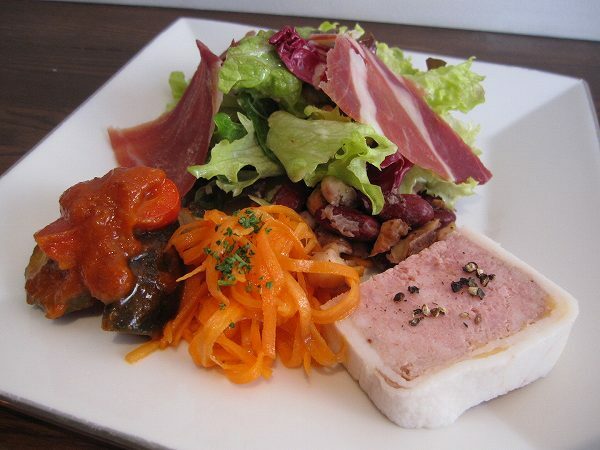 If you need a good French restaurant with a view, located in the heart of Ginza and great value, there is no better place than Chez Tomo.